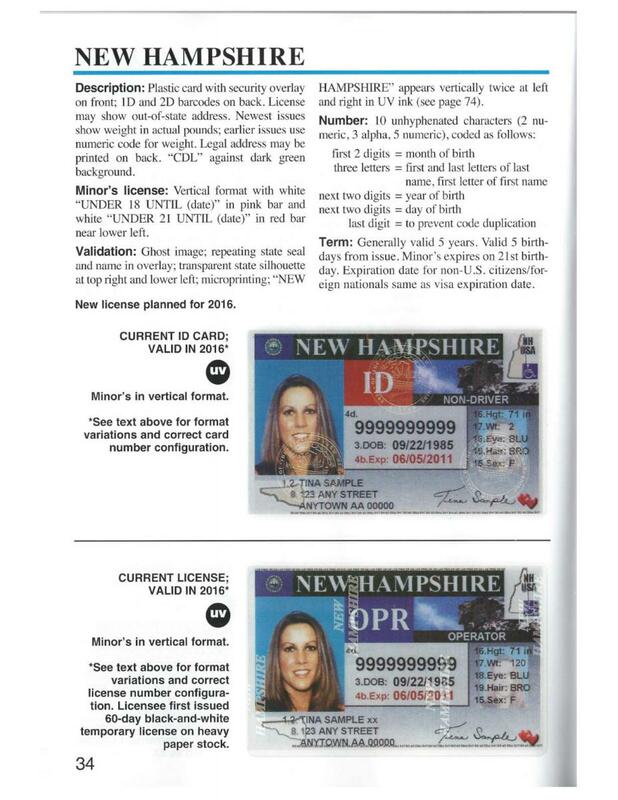 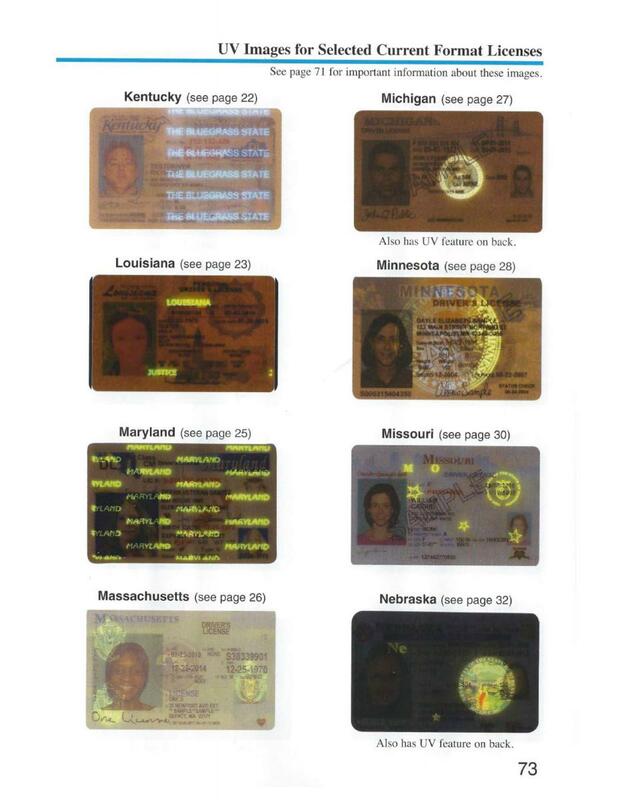 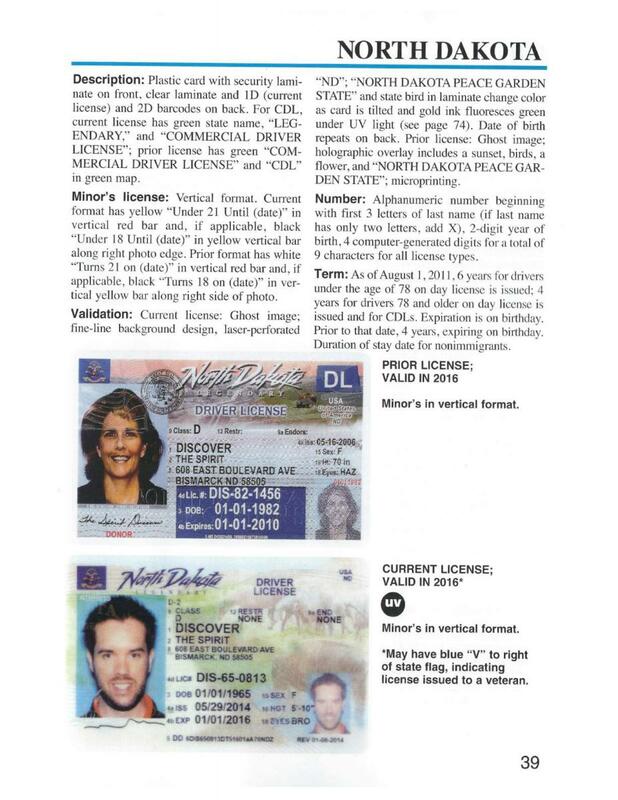 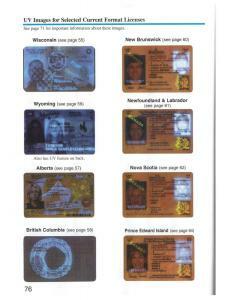 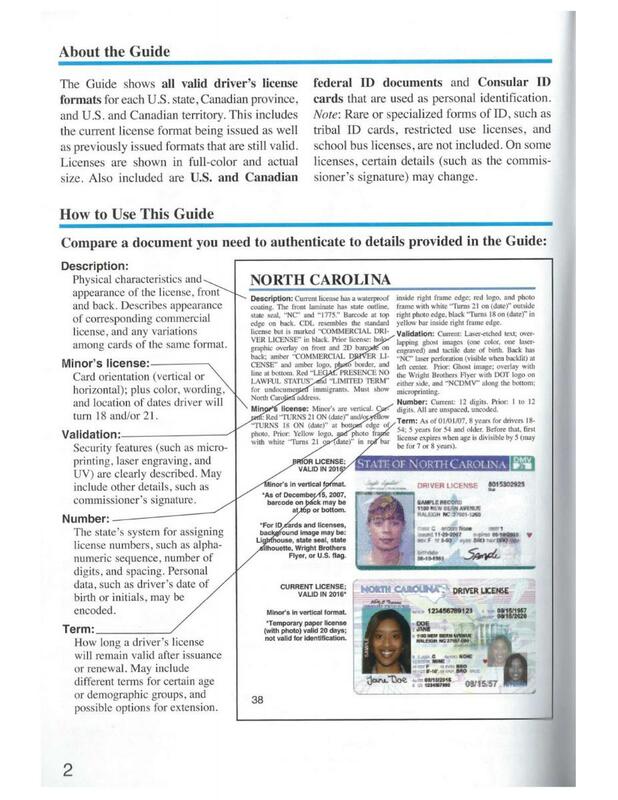 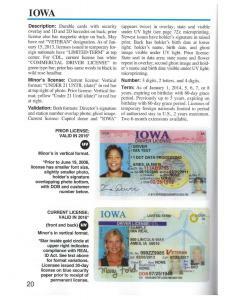 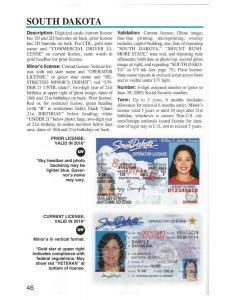 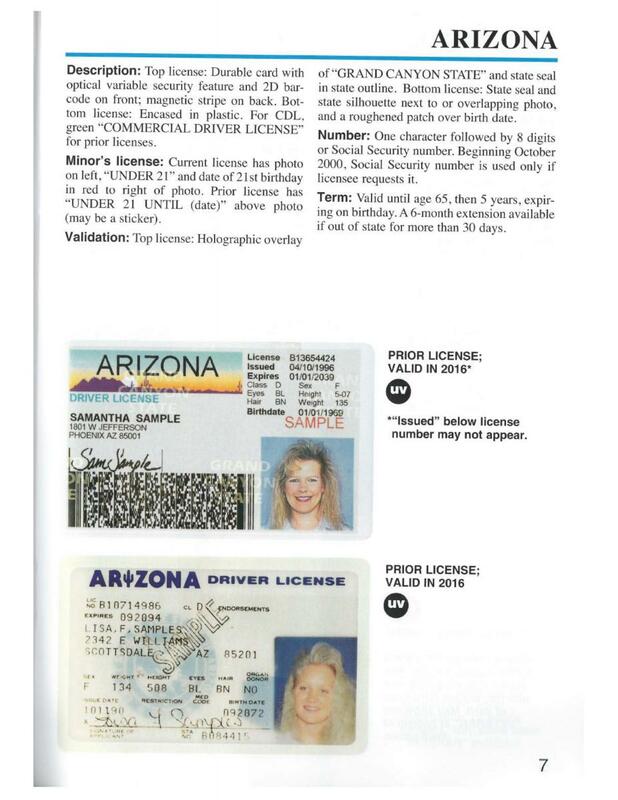 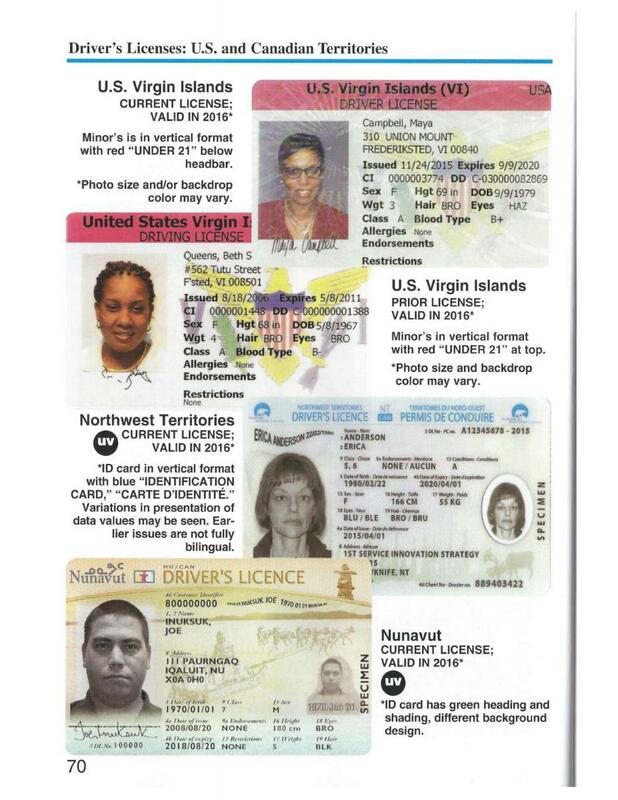 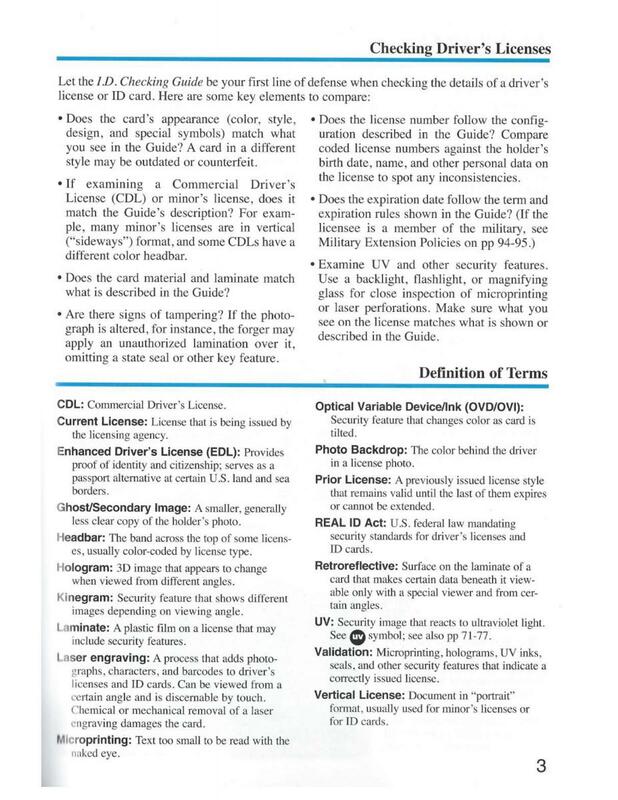 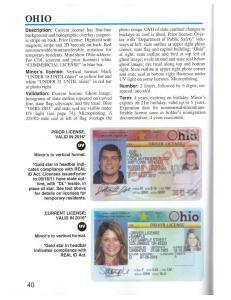 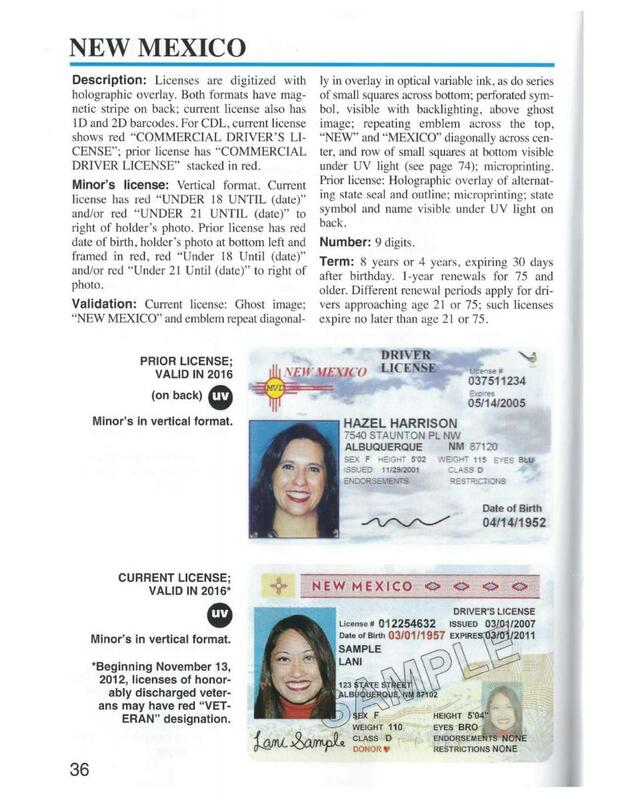 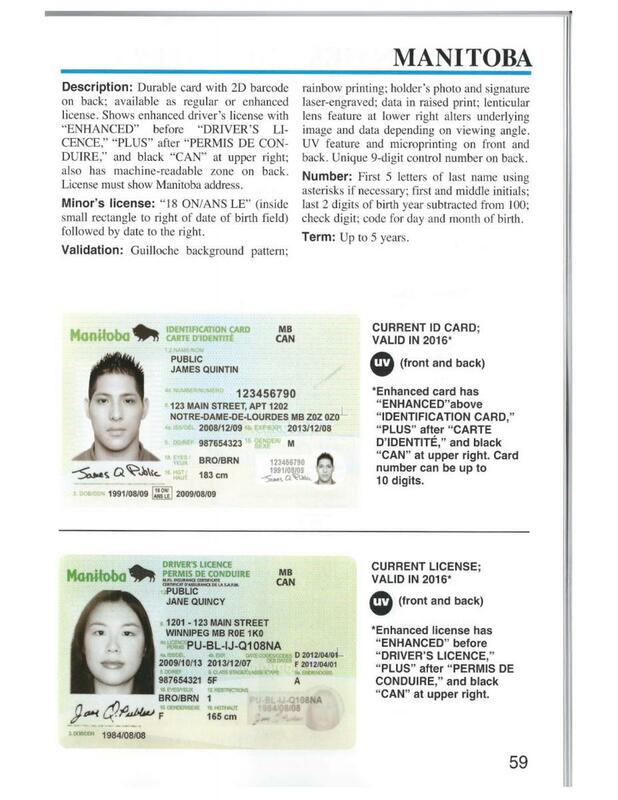 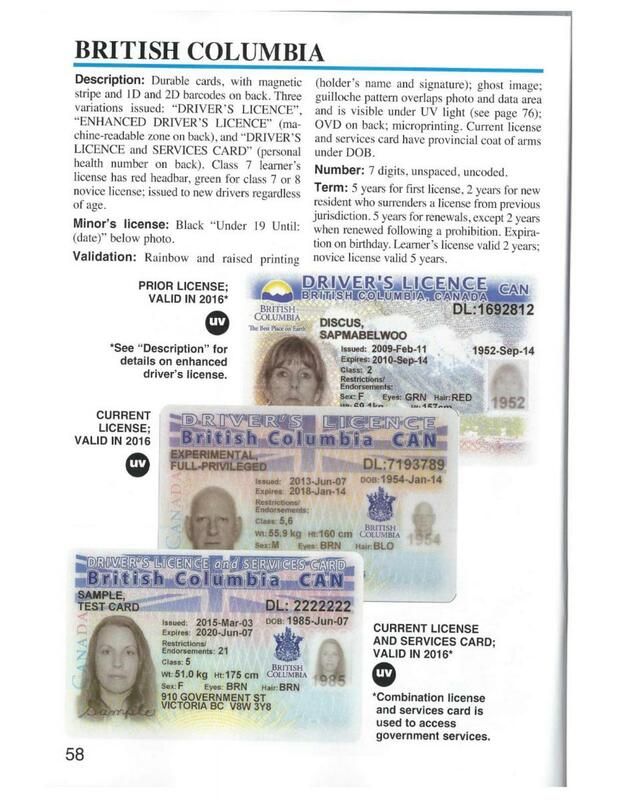 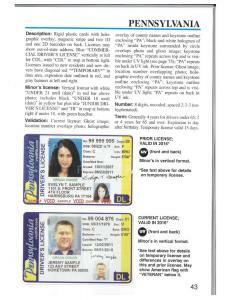 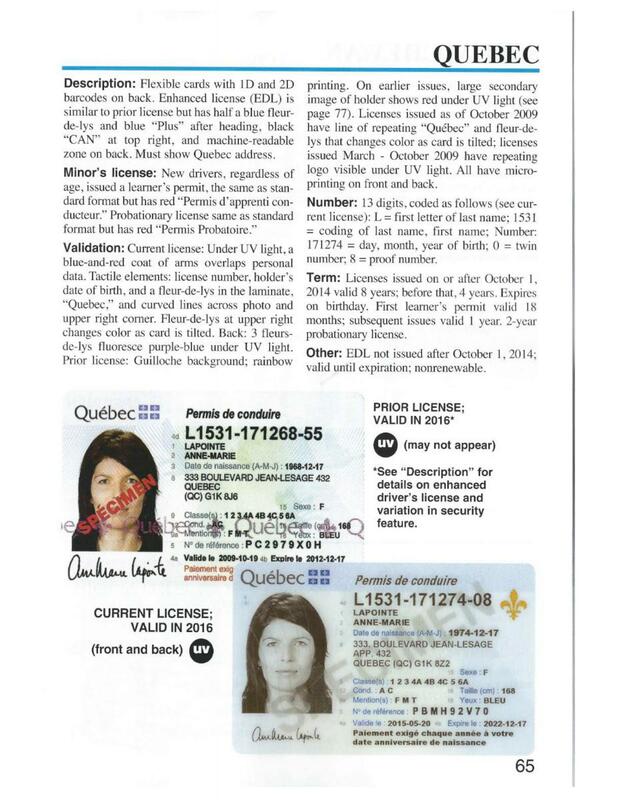 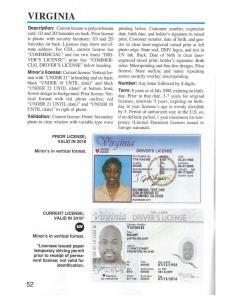 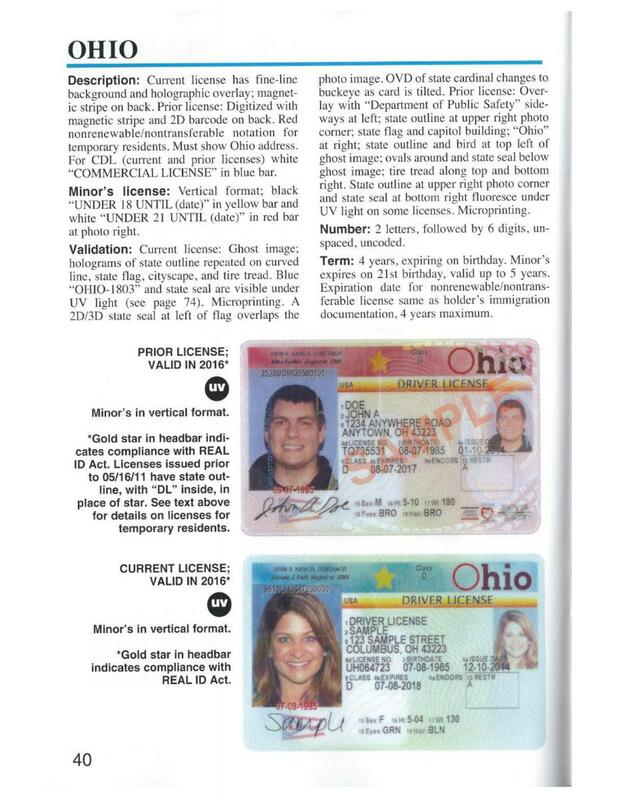 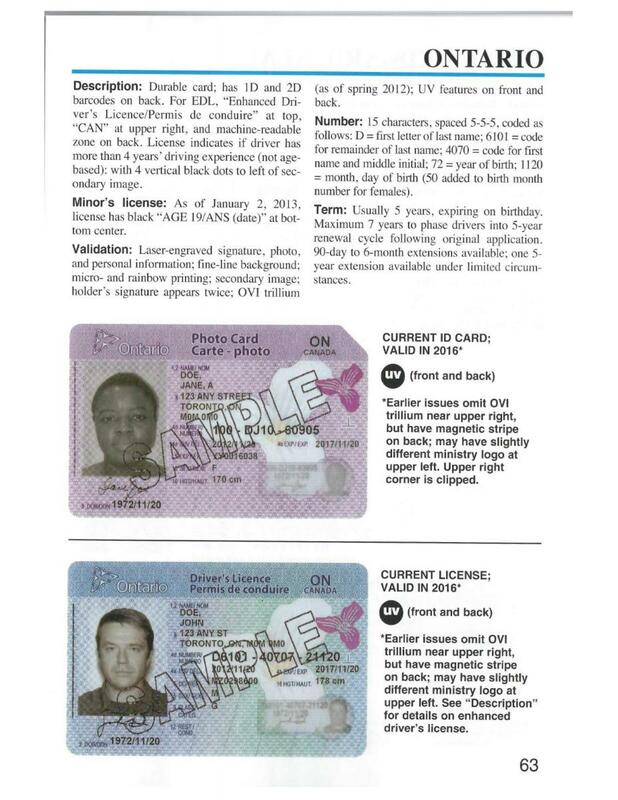 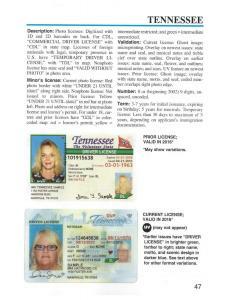 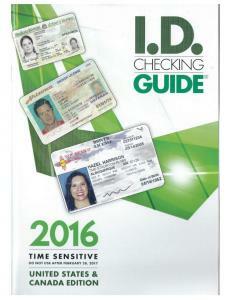 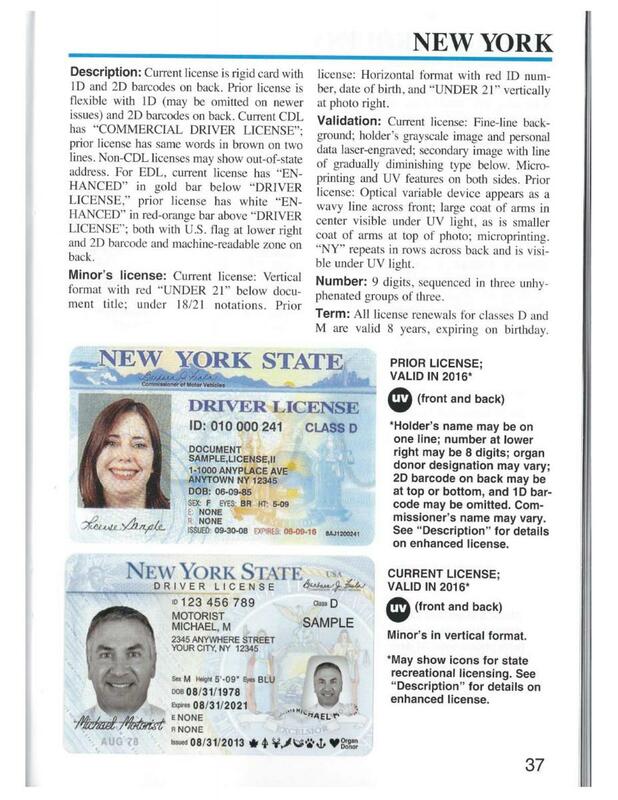 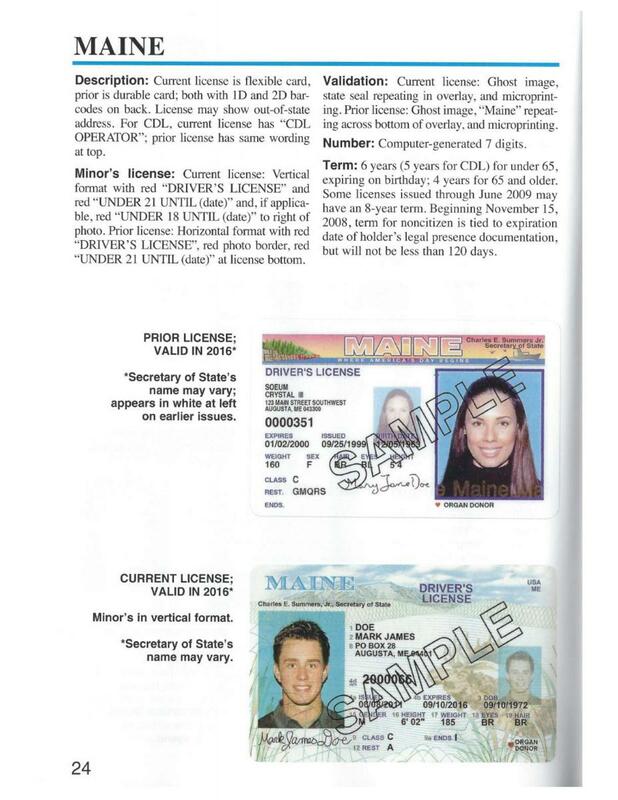 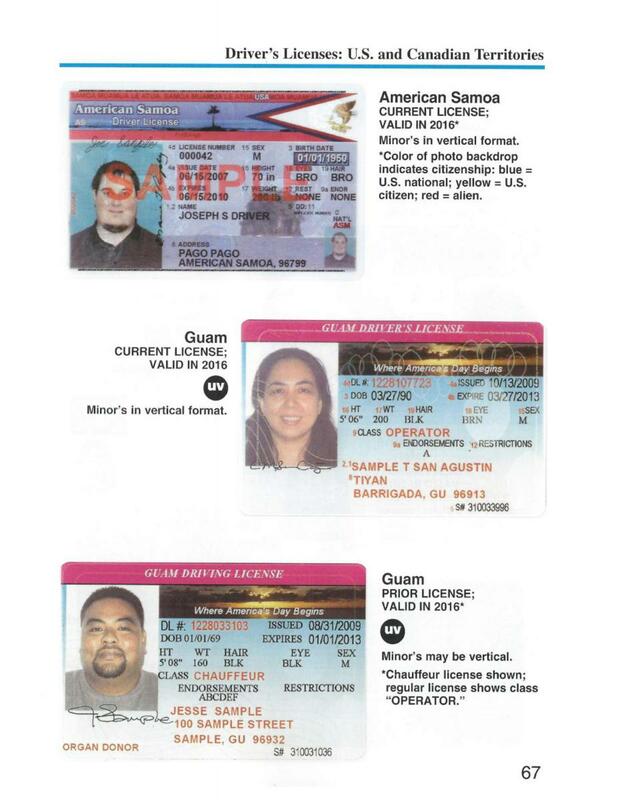 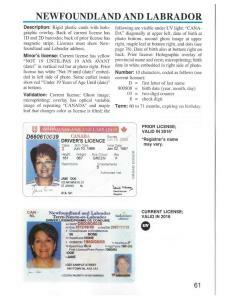 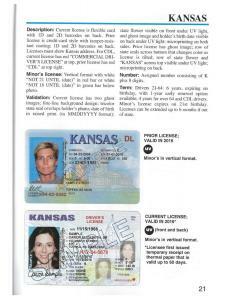 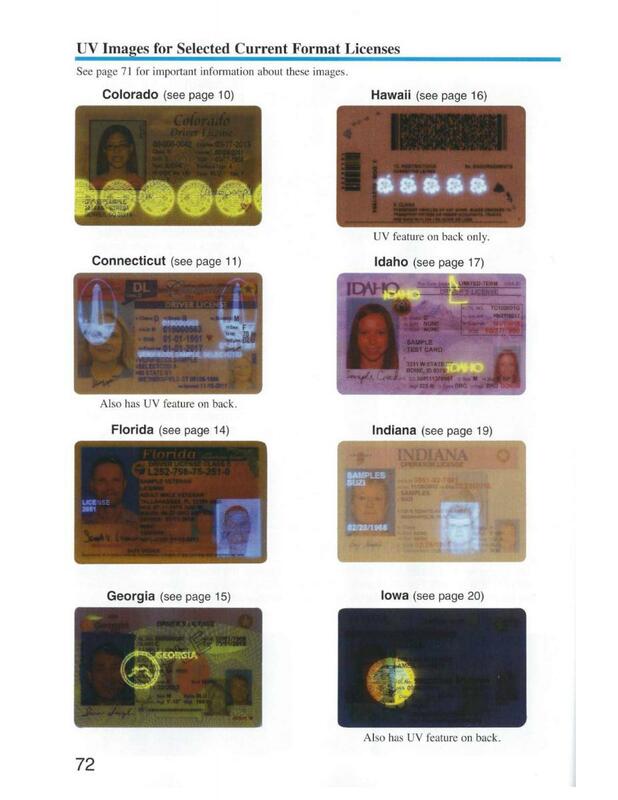 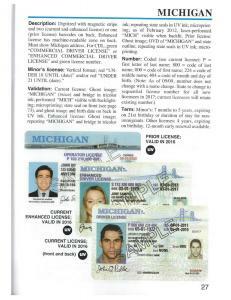 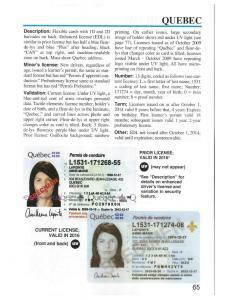 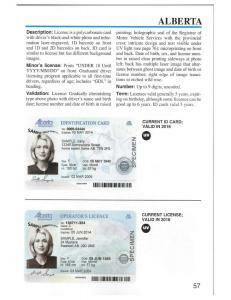 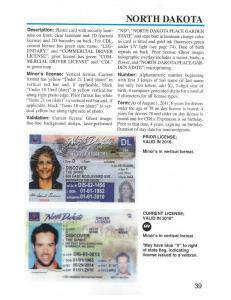 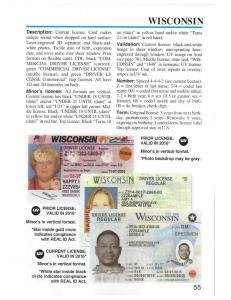 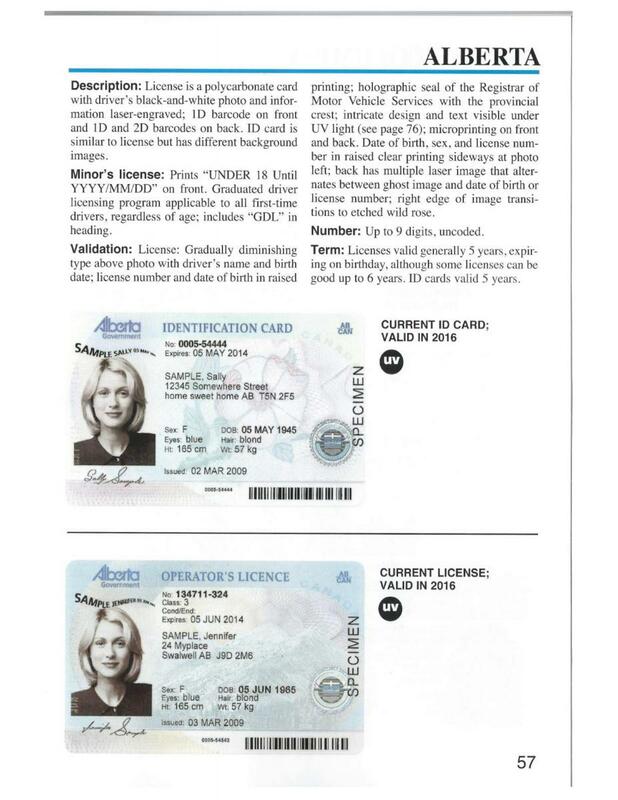 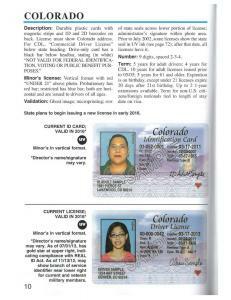 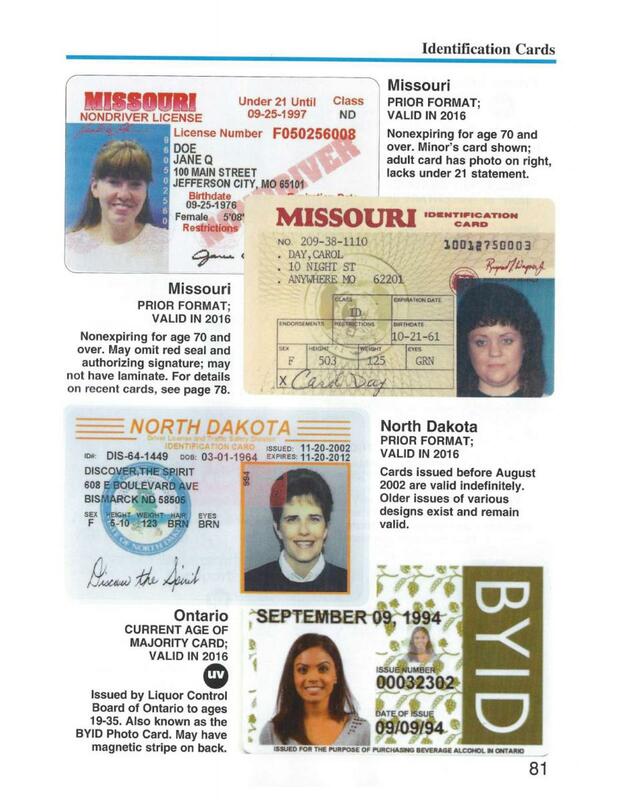 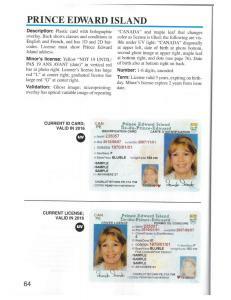 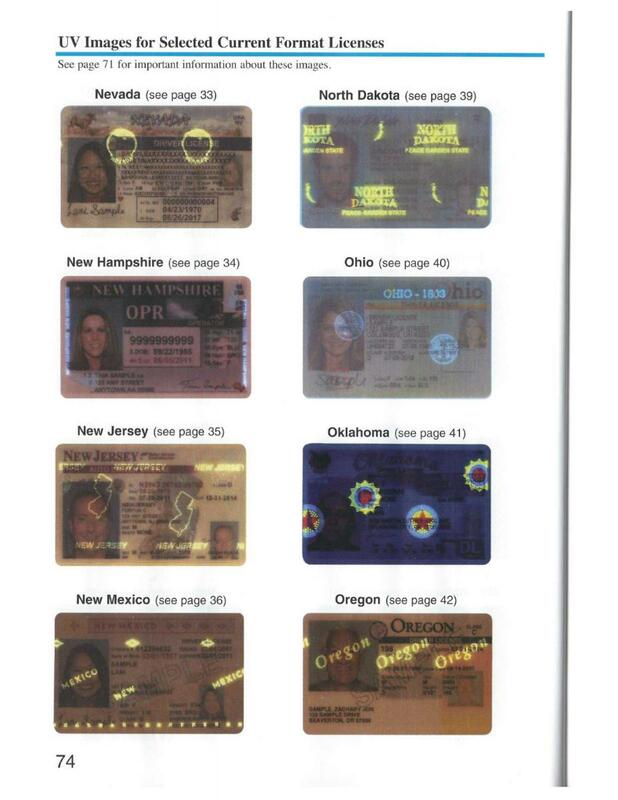 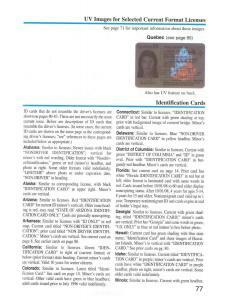 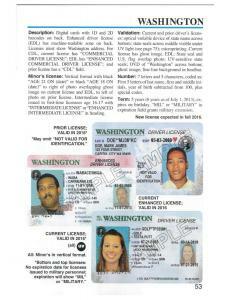 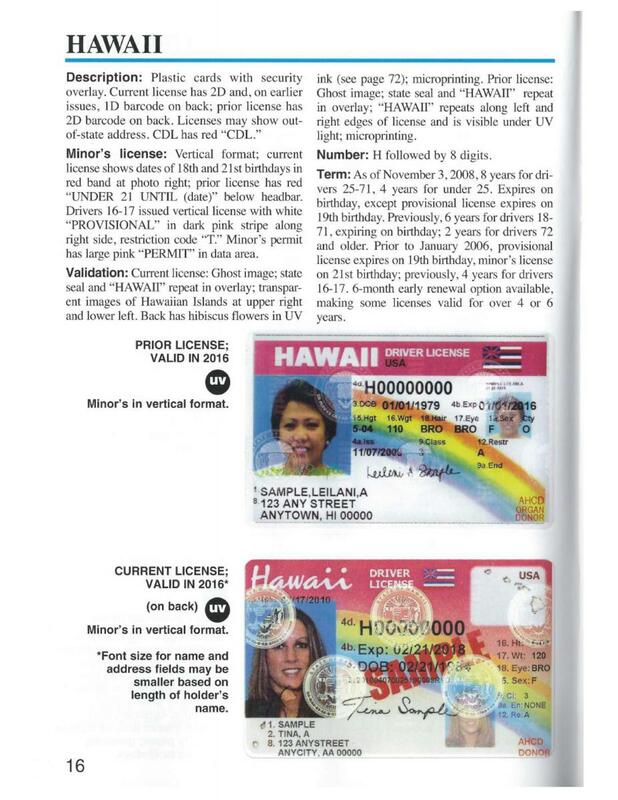 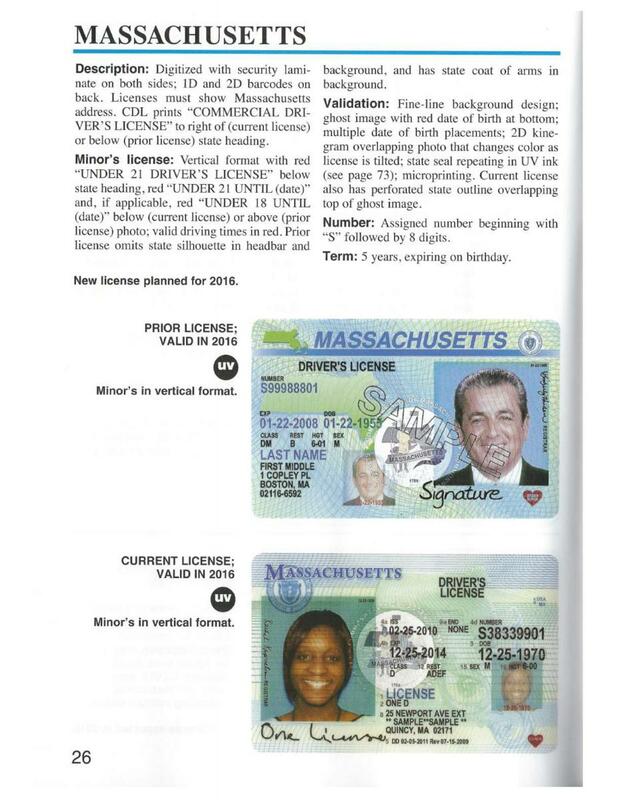 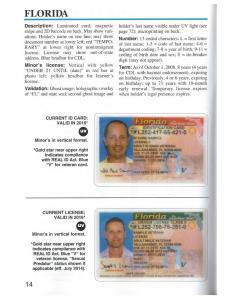 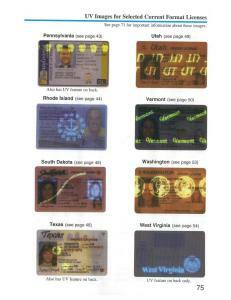 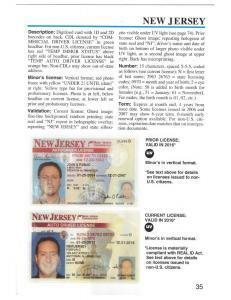 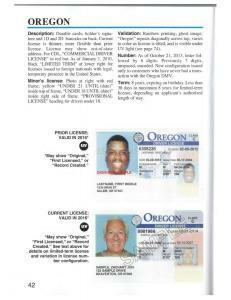 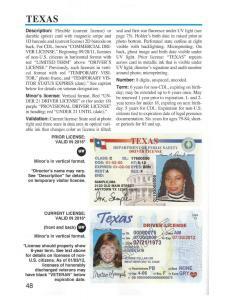 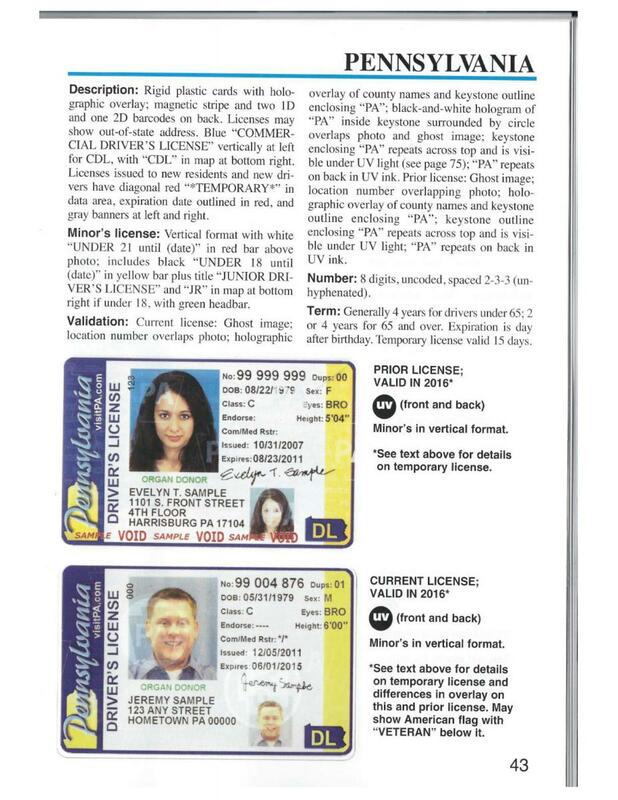 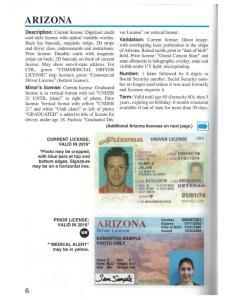 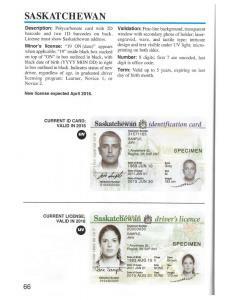 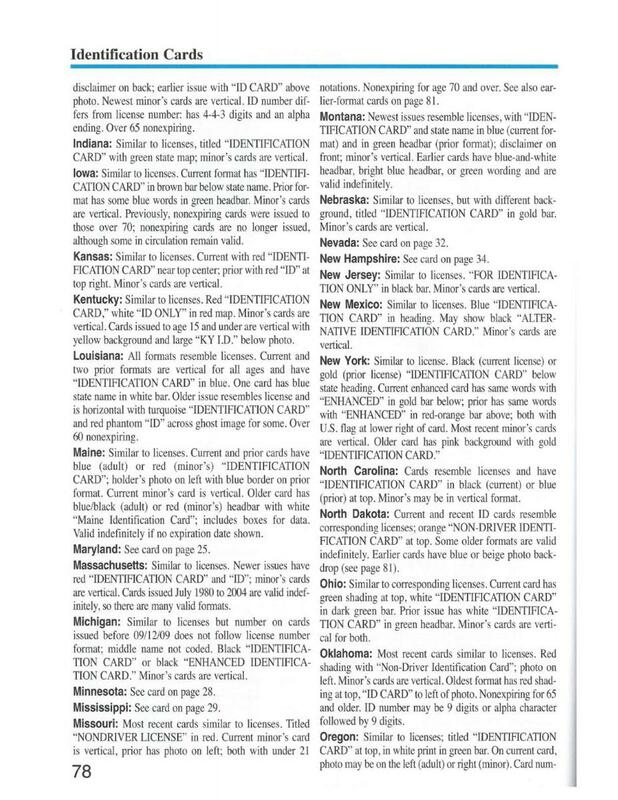 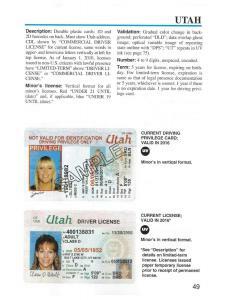 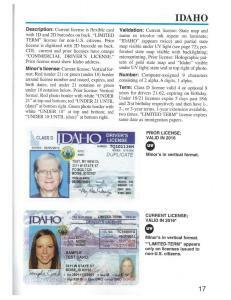 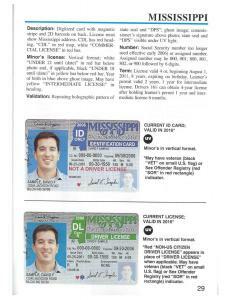 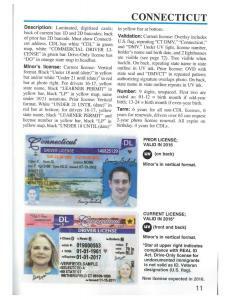 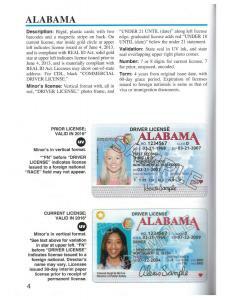 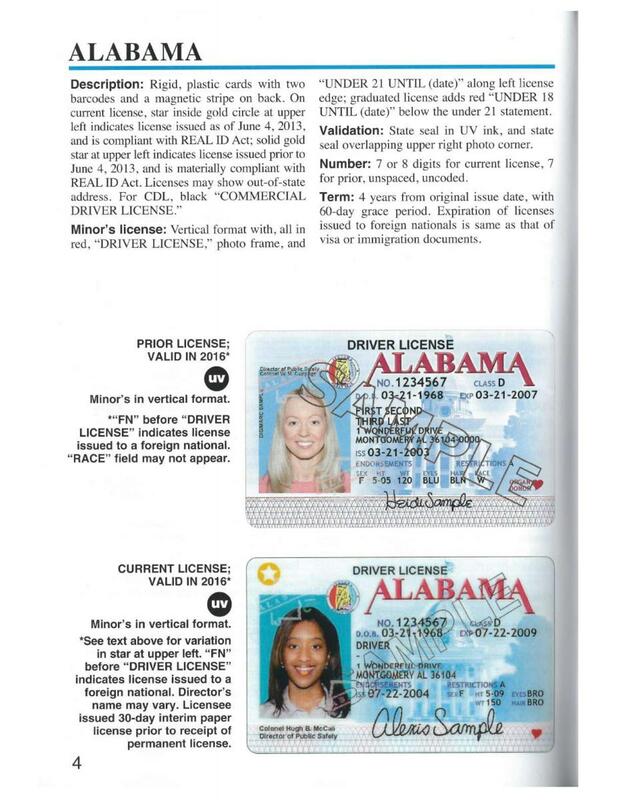 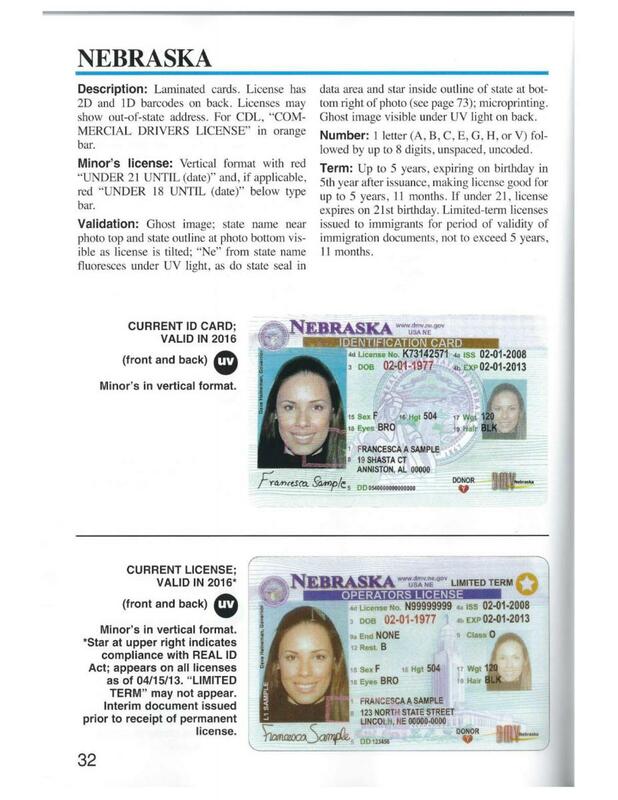 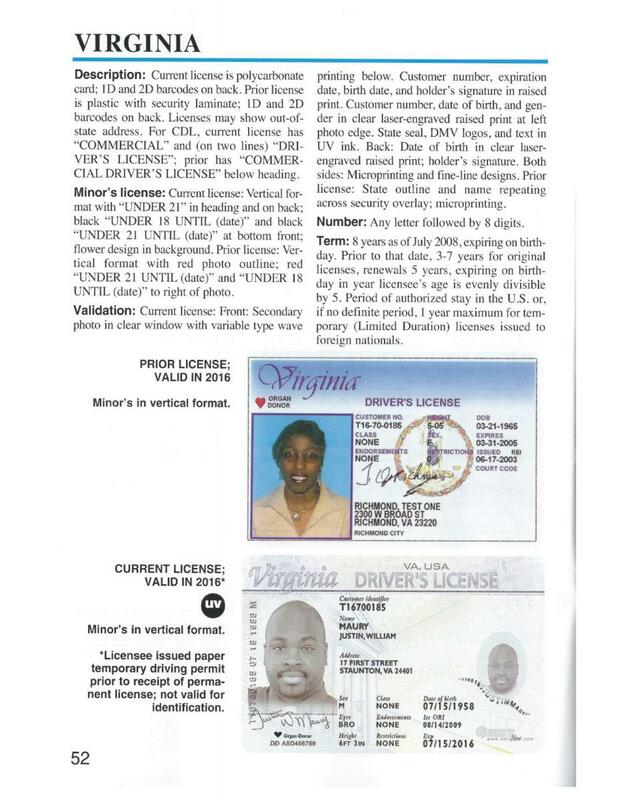 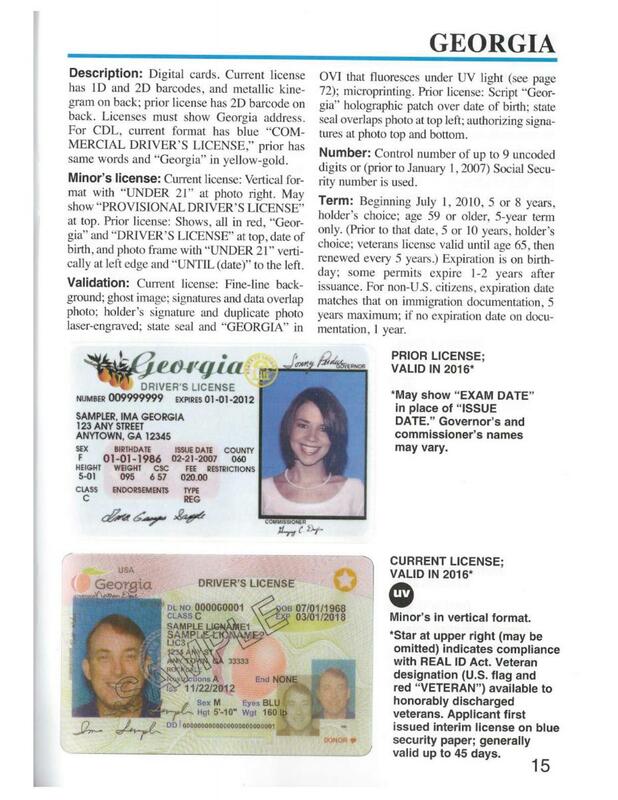 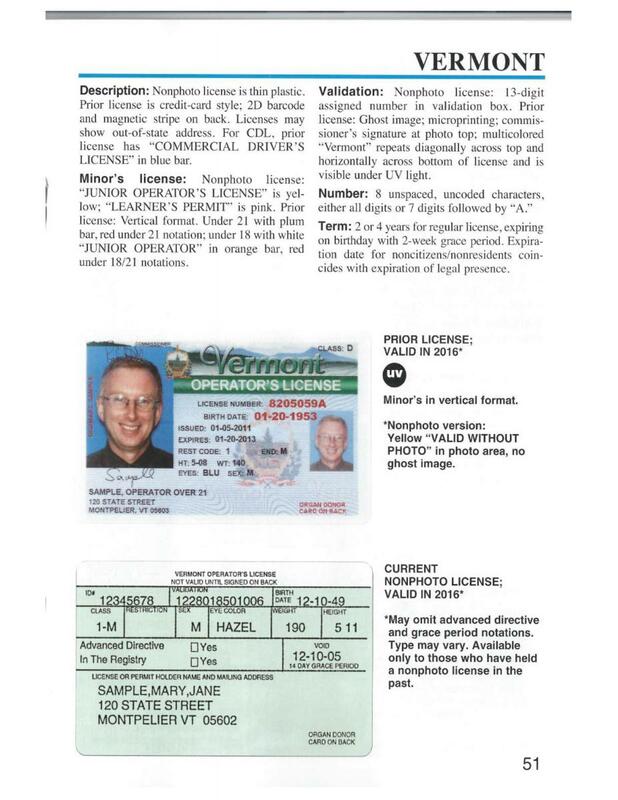 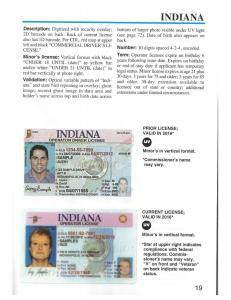 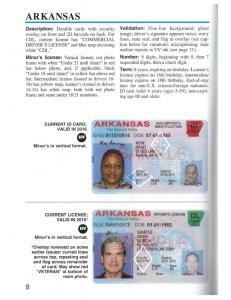 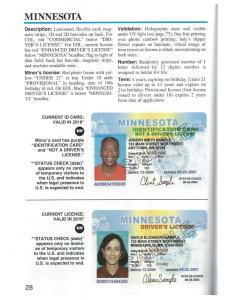 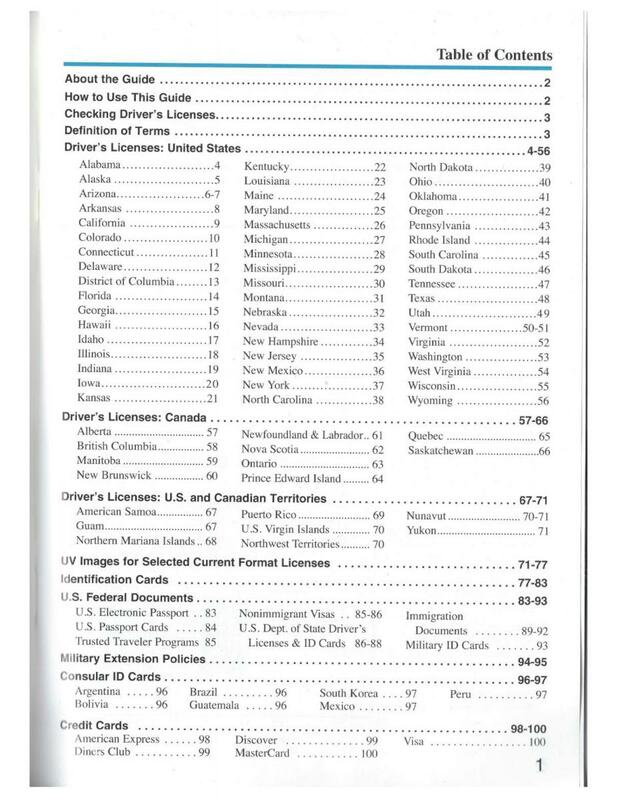 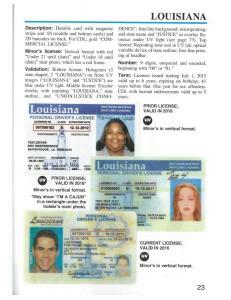 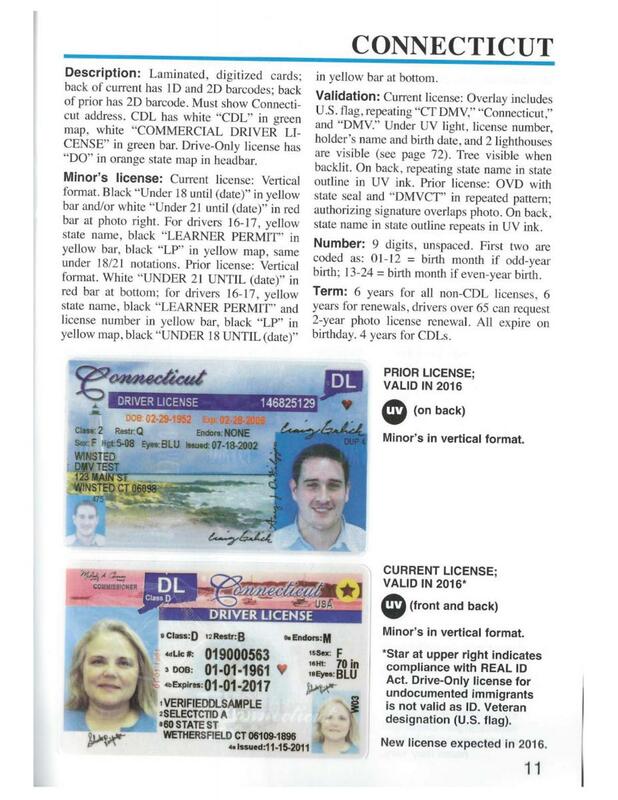 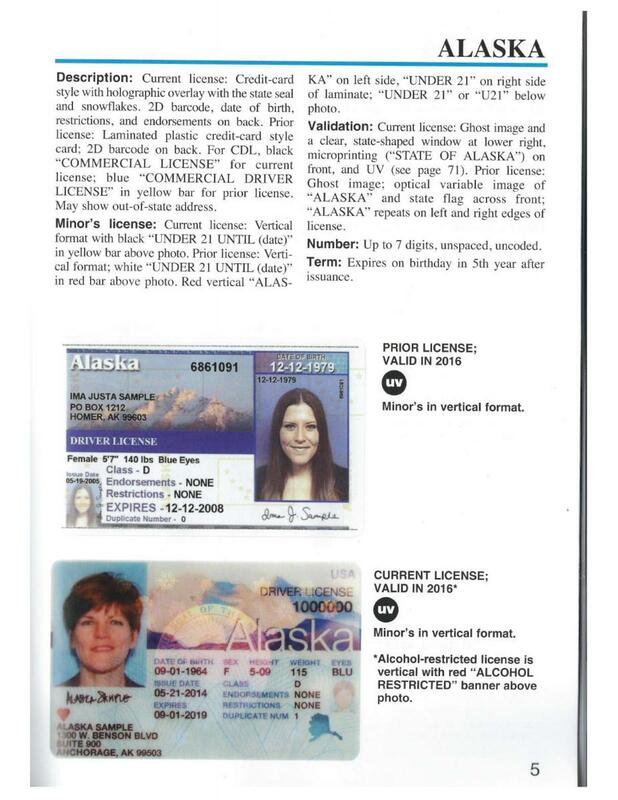 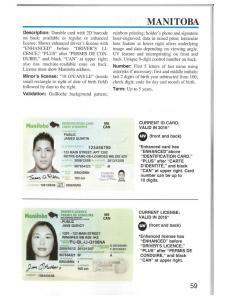 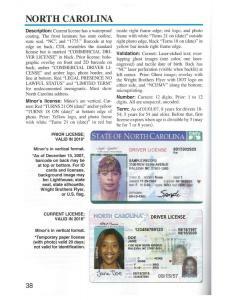 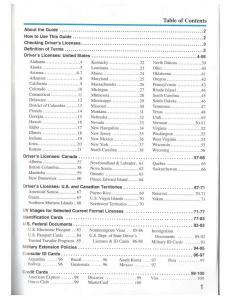 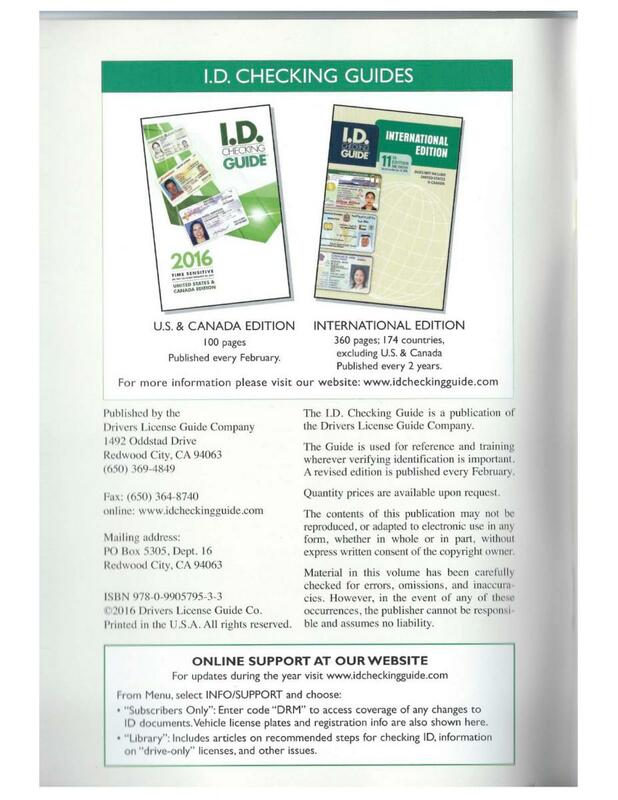 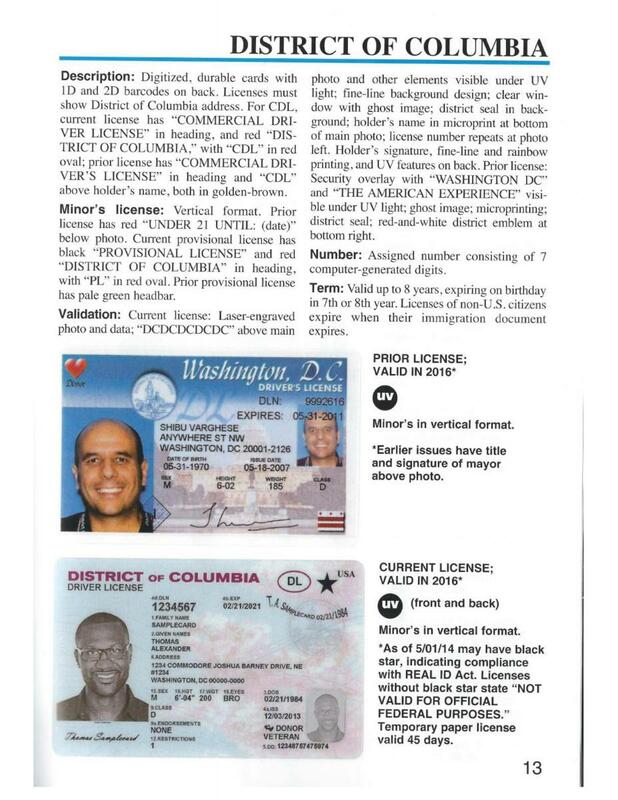 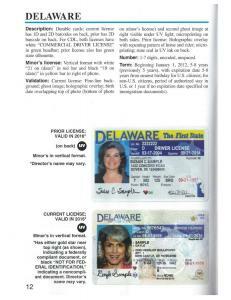 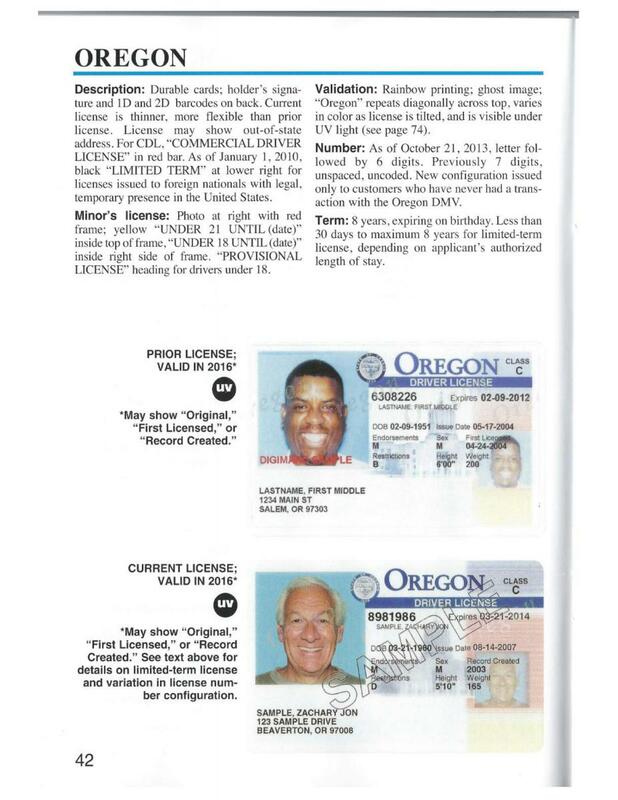 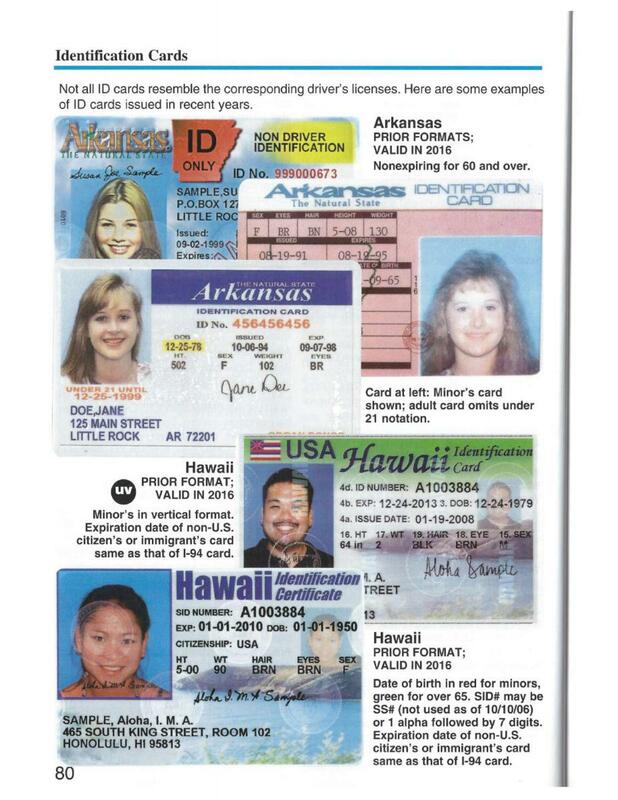 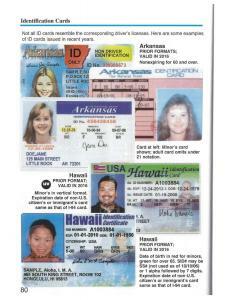 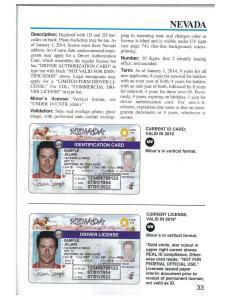 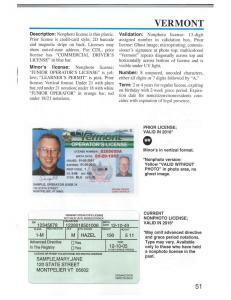 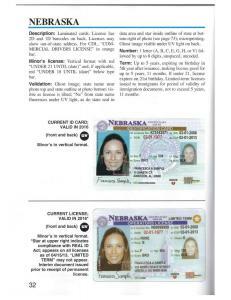 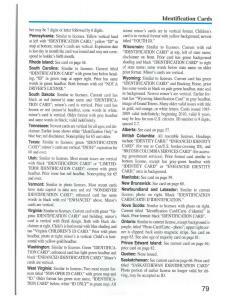 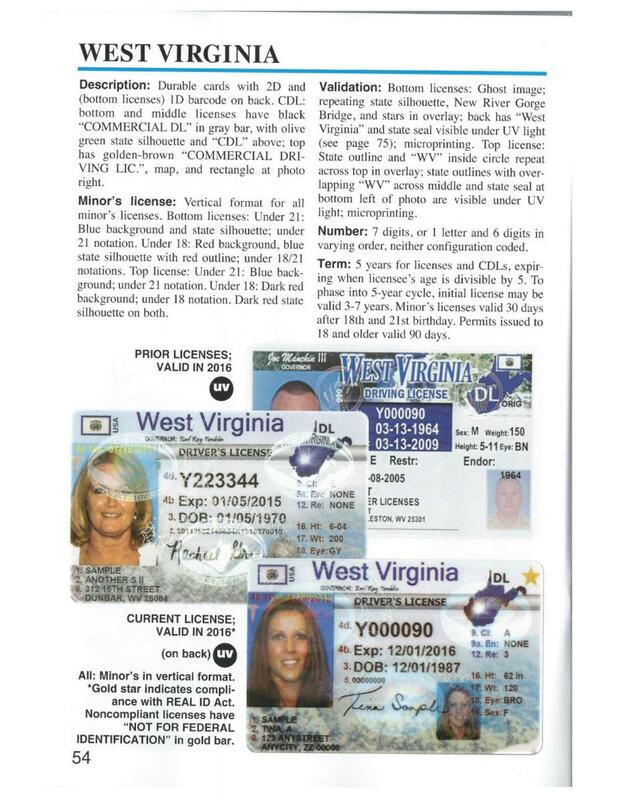 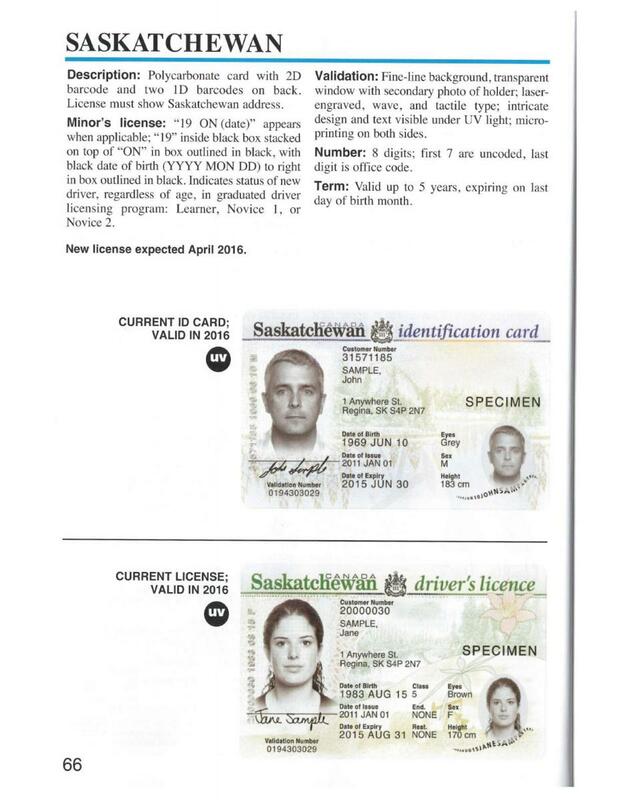 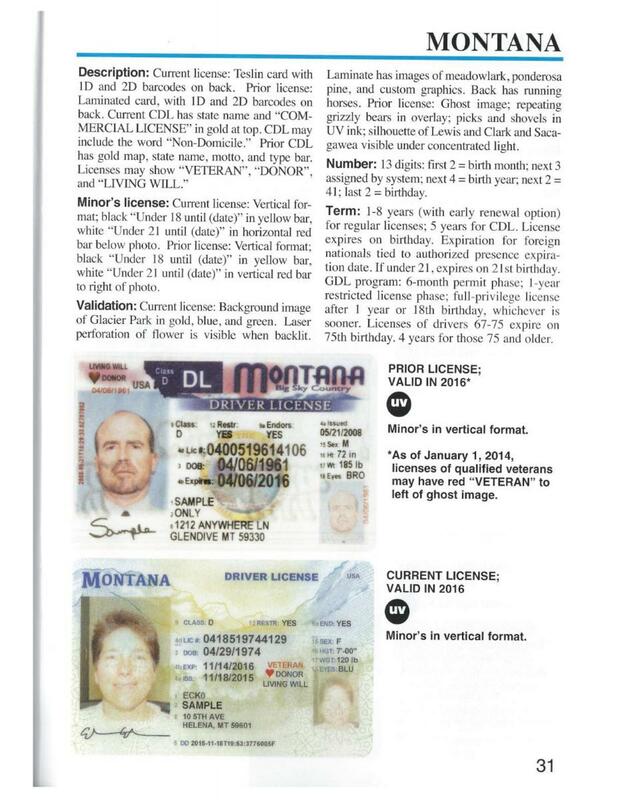 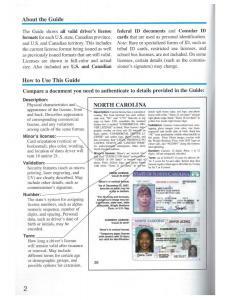 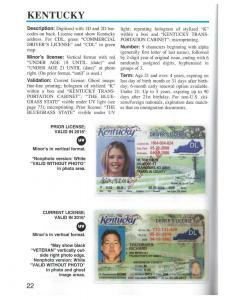 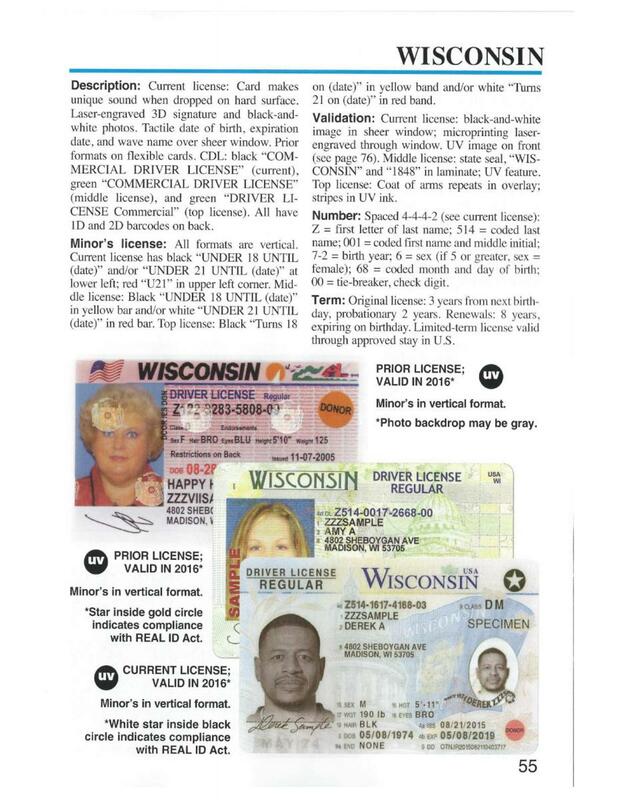 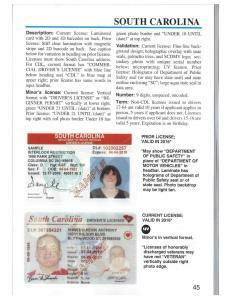 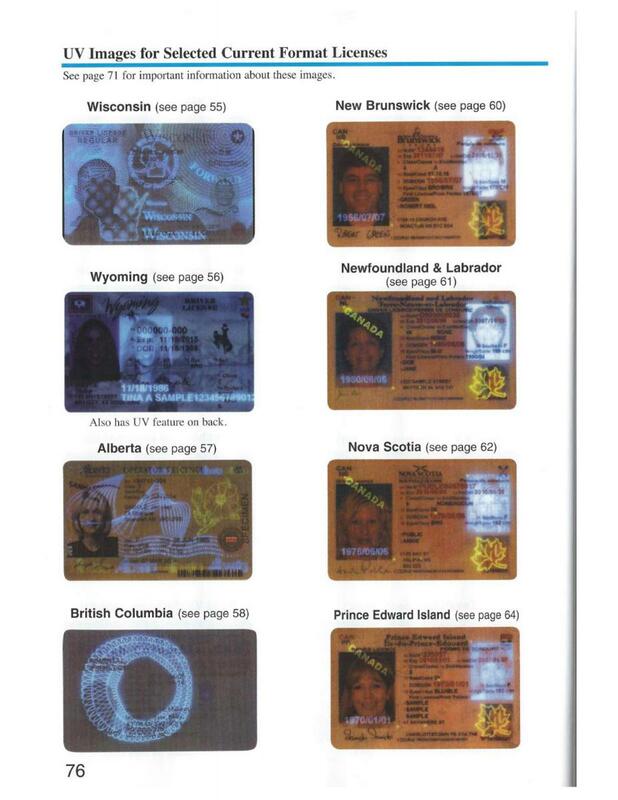 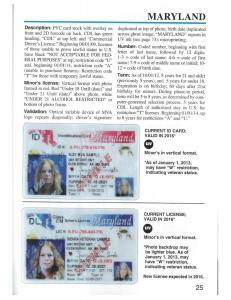 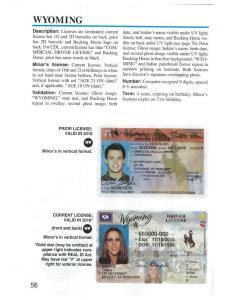 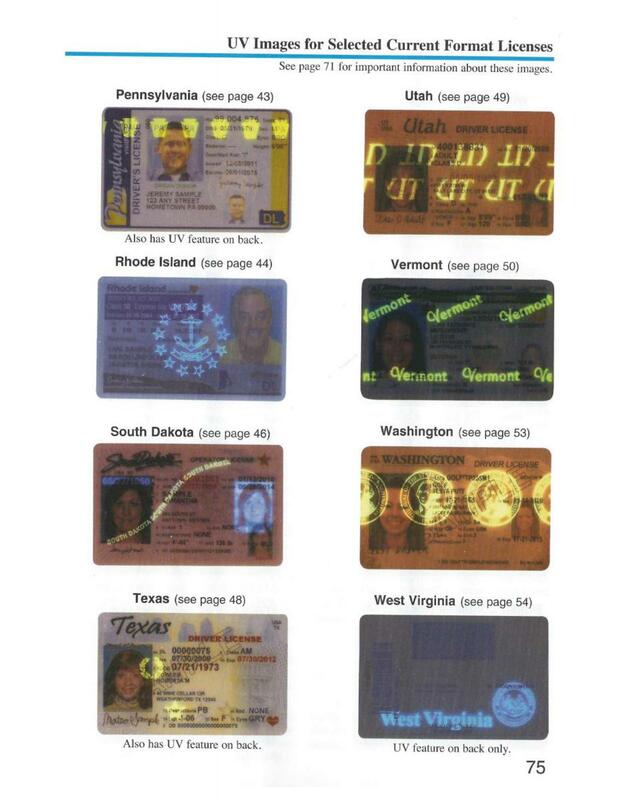 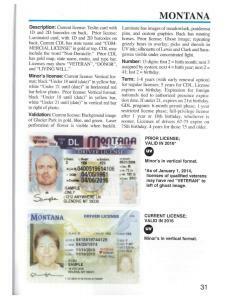 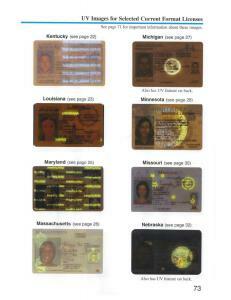 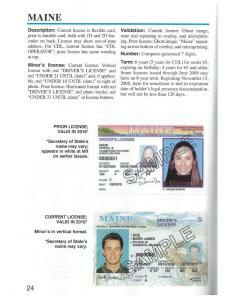 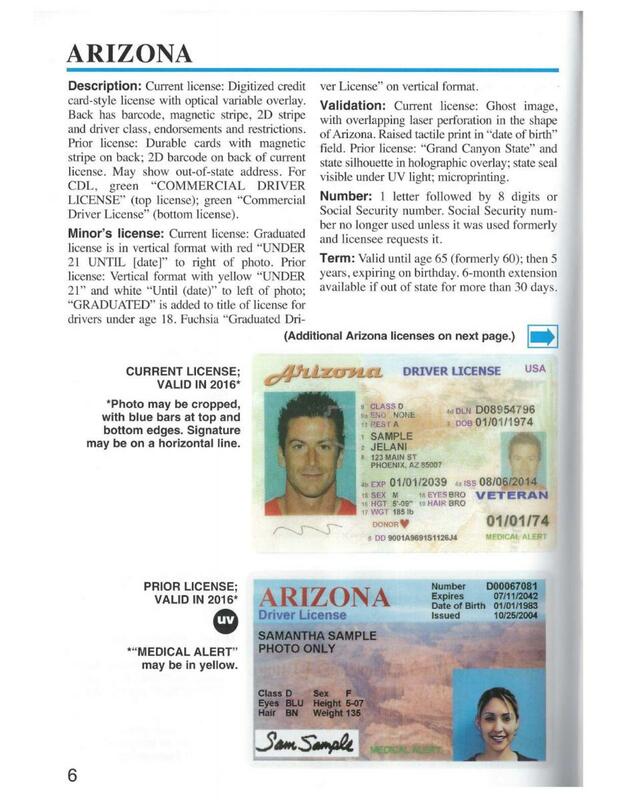 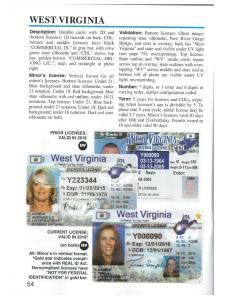 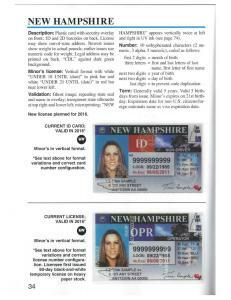 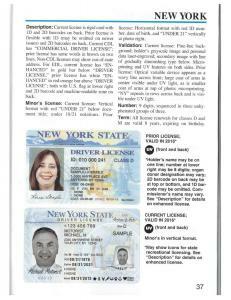 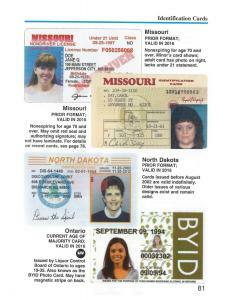 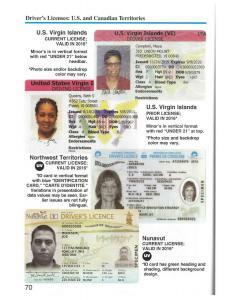 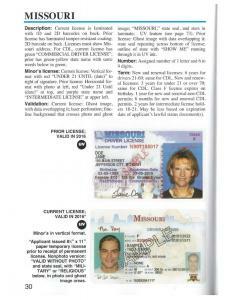 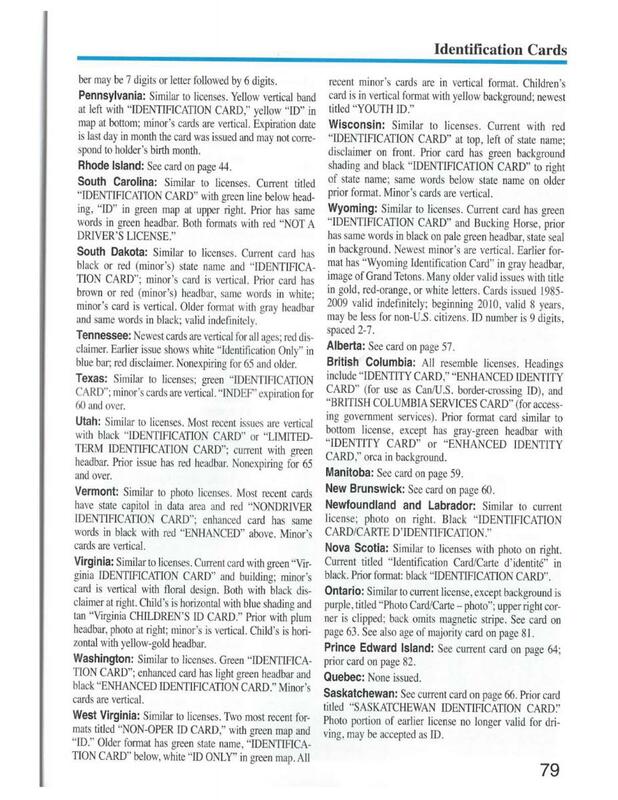 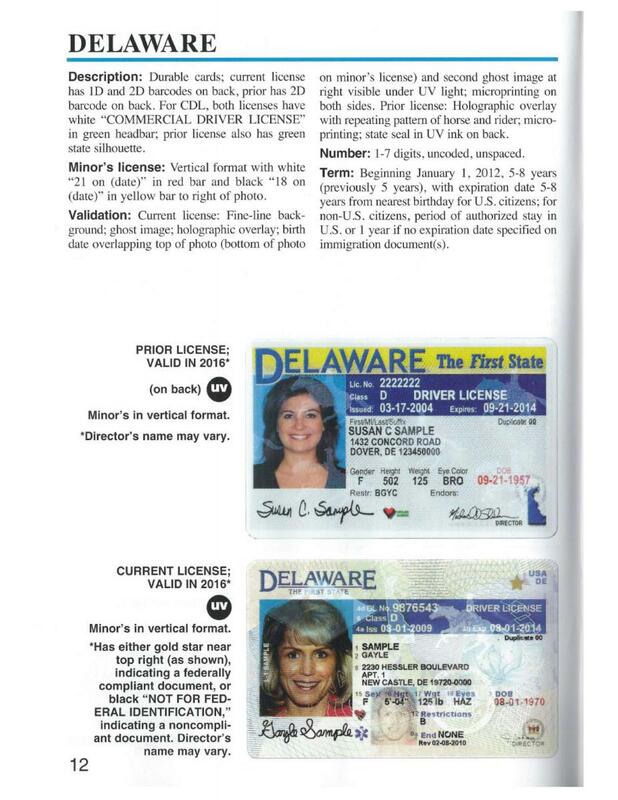 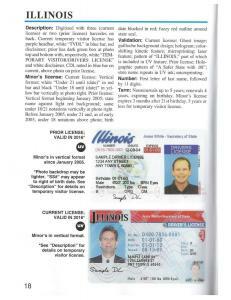 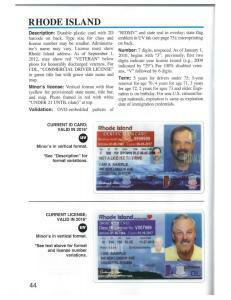 The Guide shows all valid driver’s license formats for each U.S. state, Canadian province and U.S. and Canadian territory. 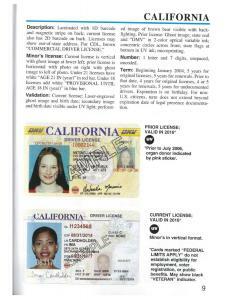 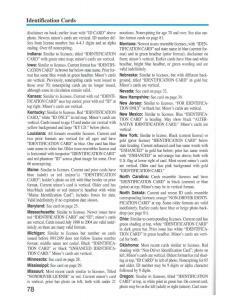 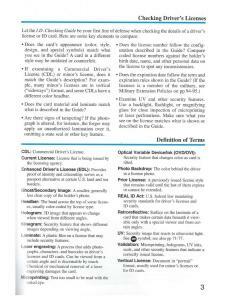 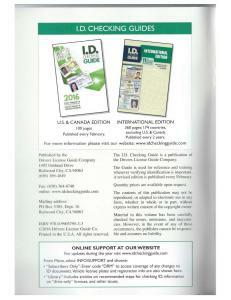 This includes the current license format being issues as well as previously issued formats that are still valid. 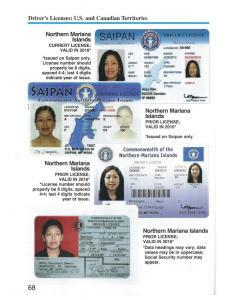 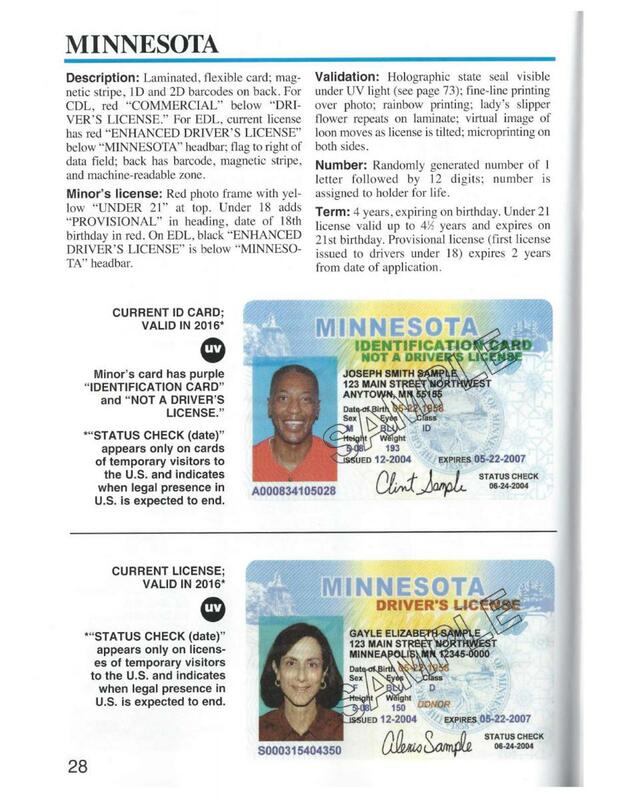 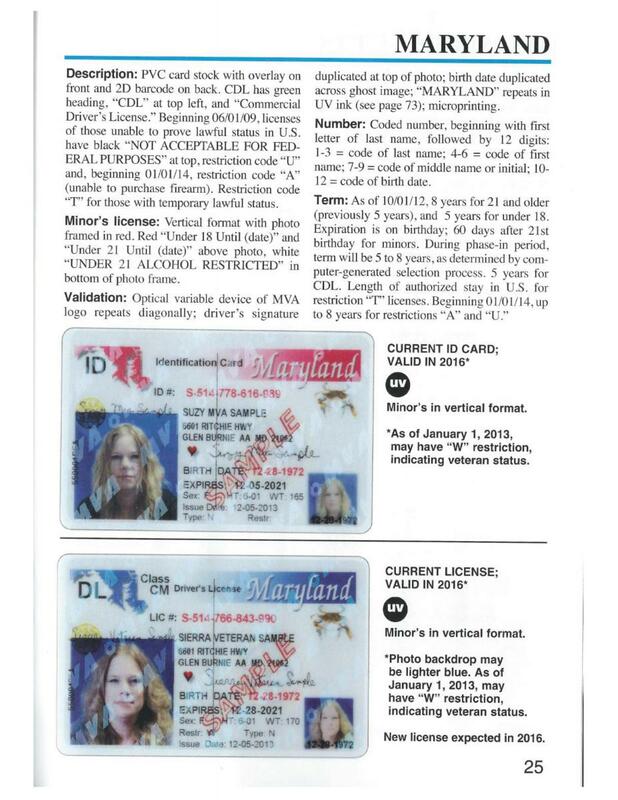 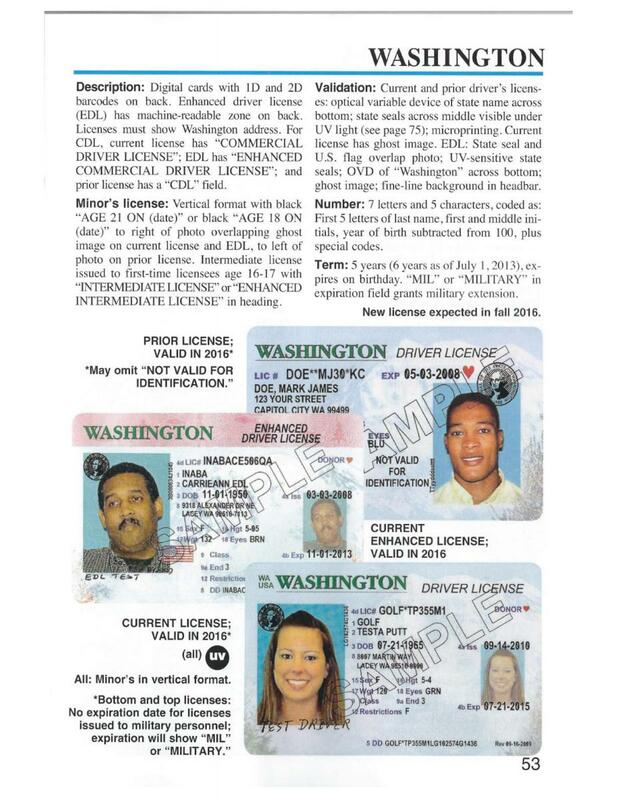 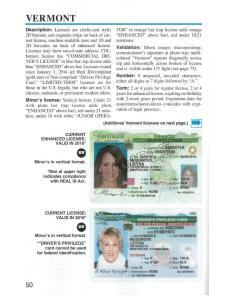 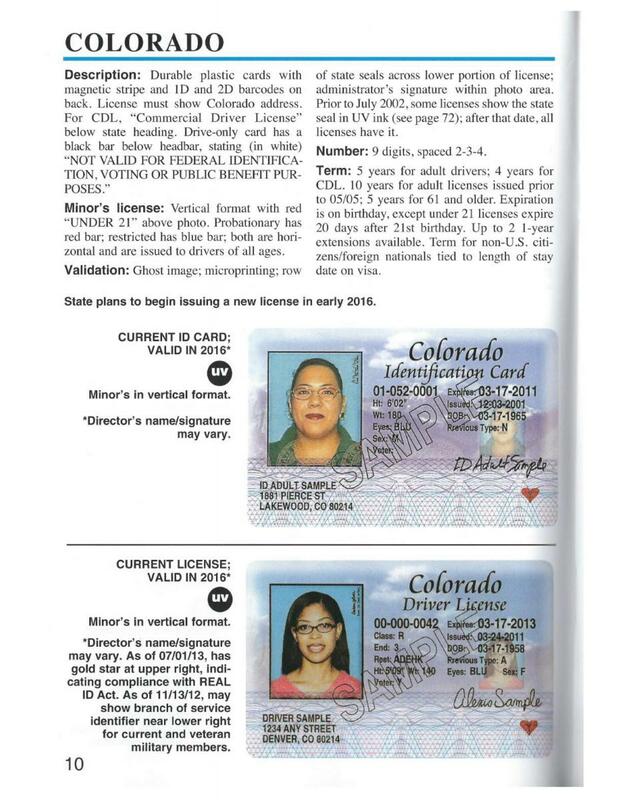 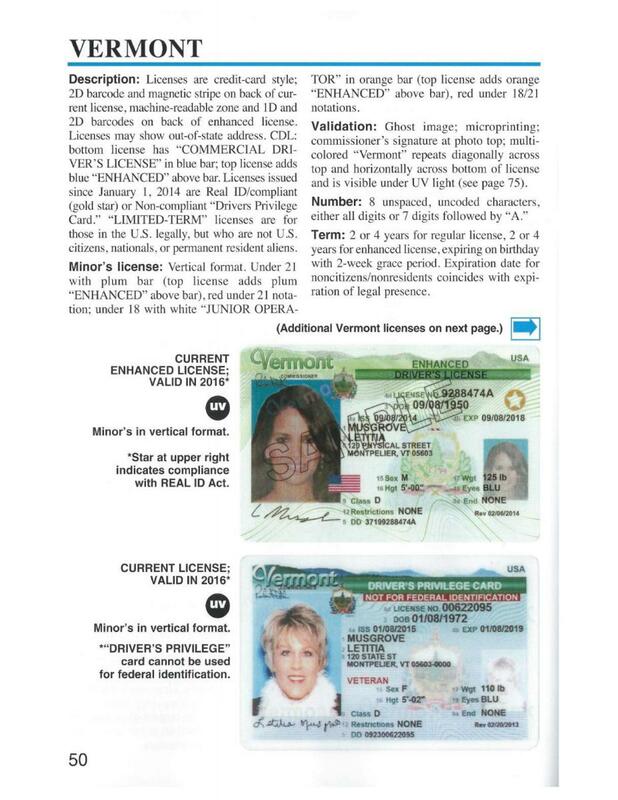 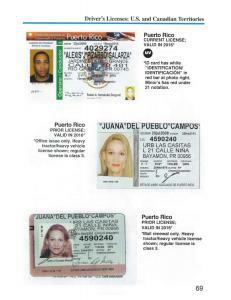 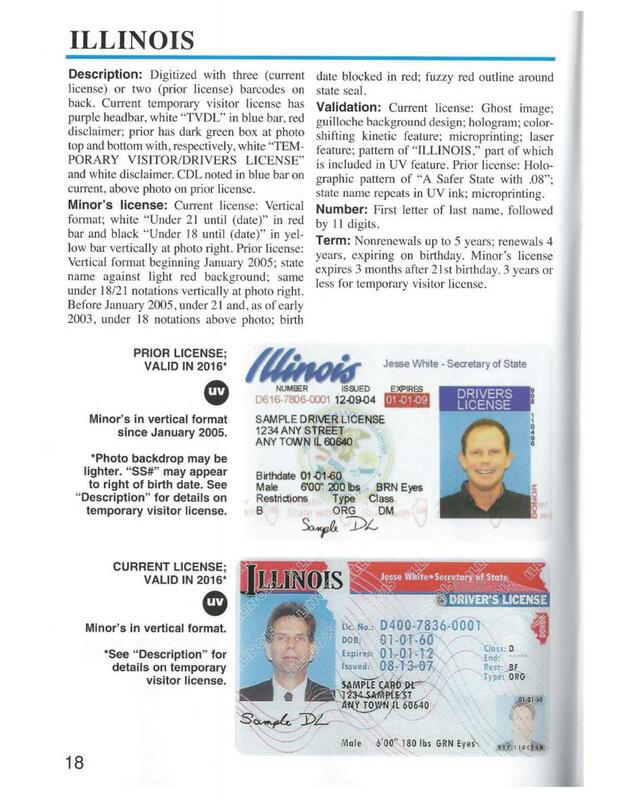 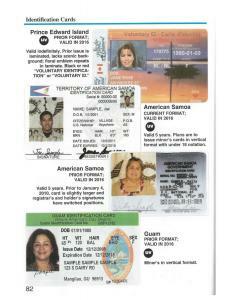 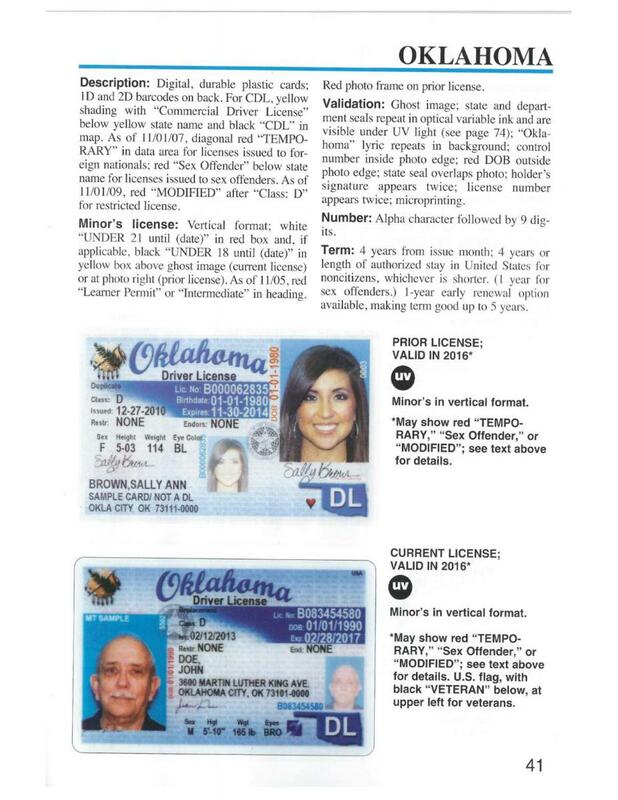 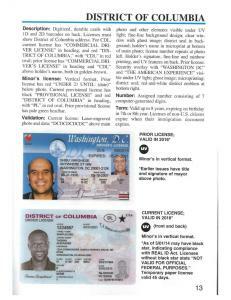 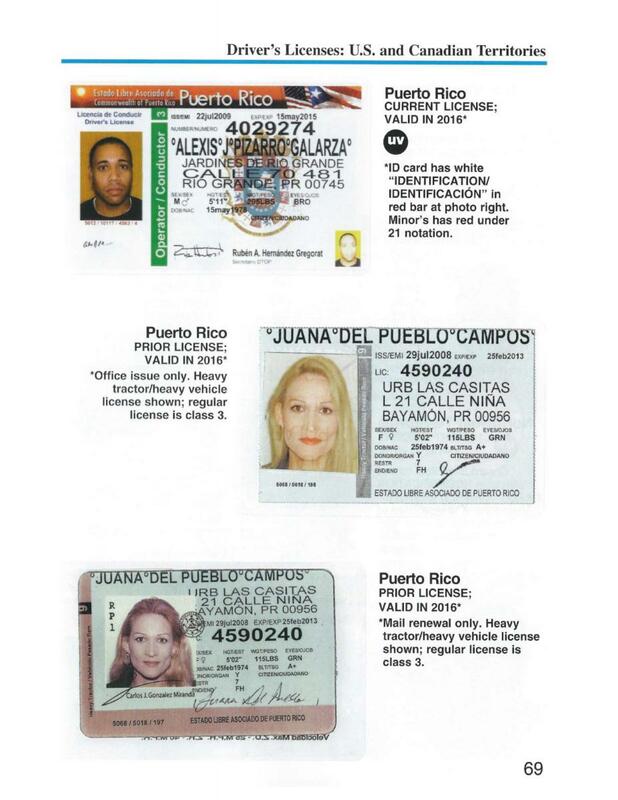 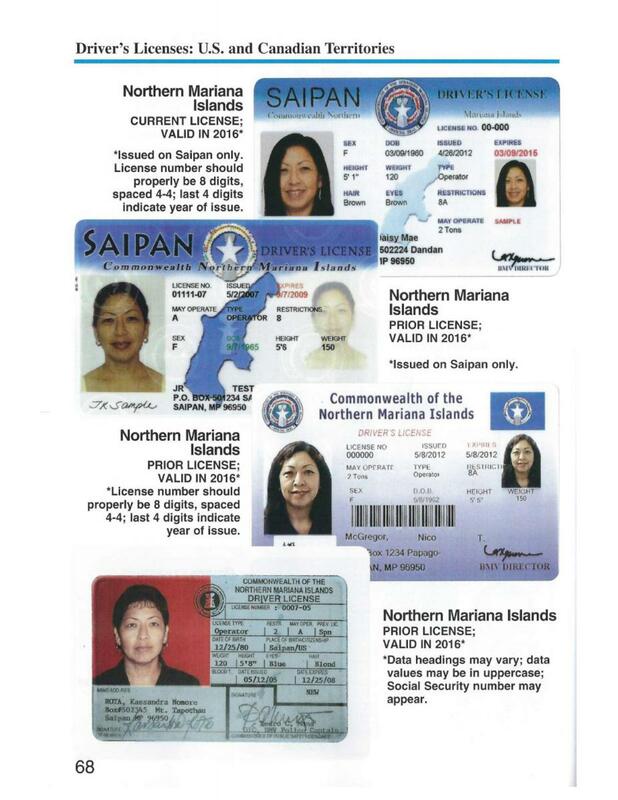 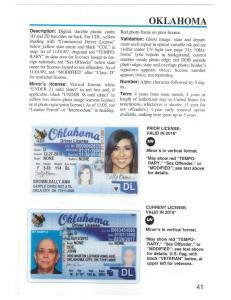 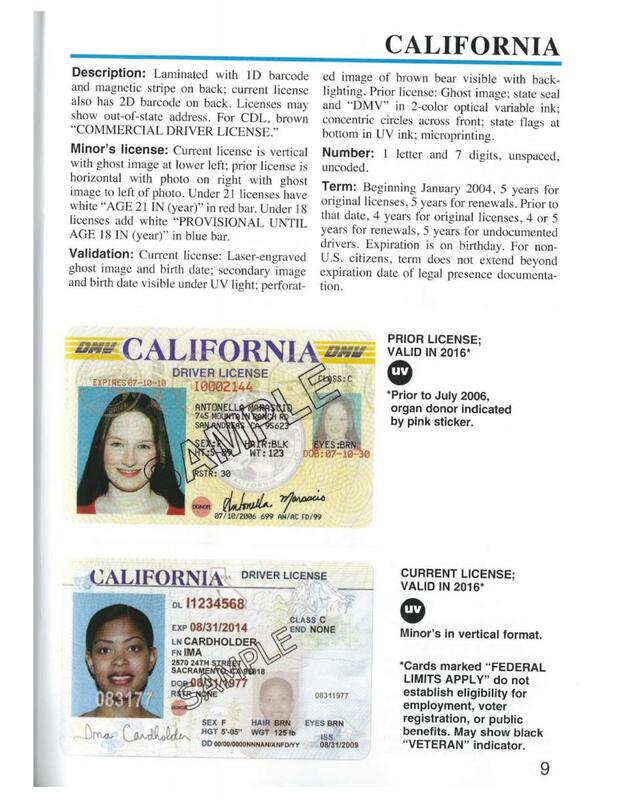 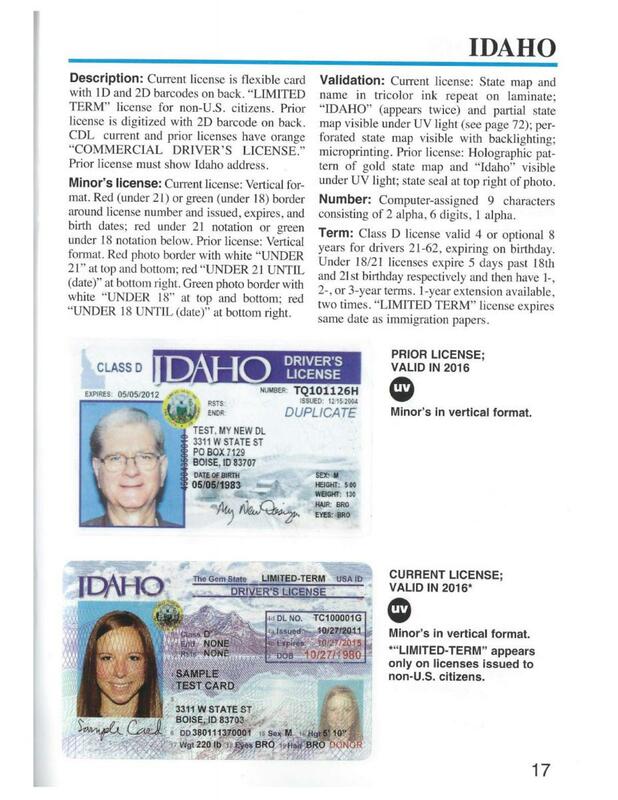 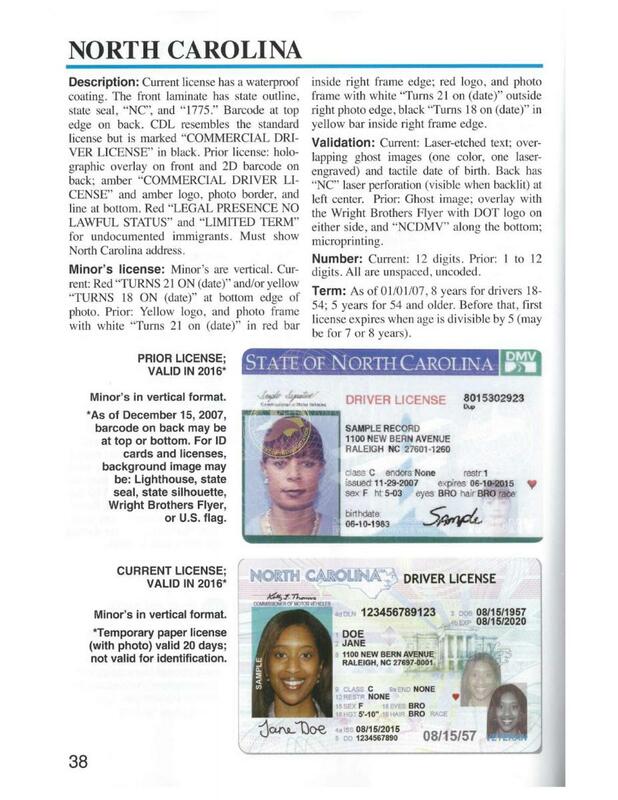 Licenses are shown in full-color and actual size. 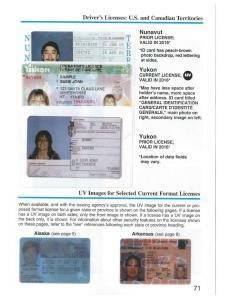 Also included are U.S. and Canadian federal ID documents and Consular ID cards that are used as personal identification. 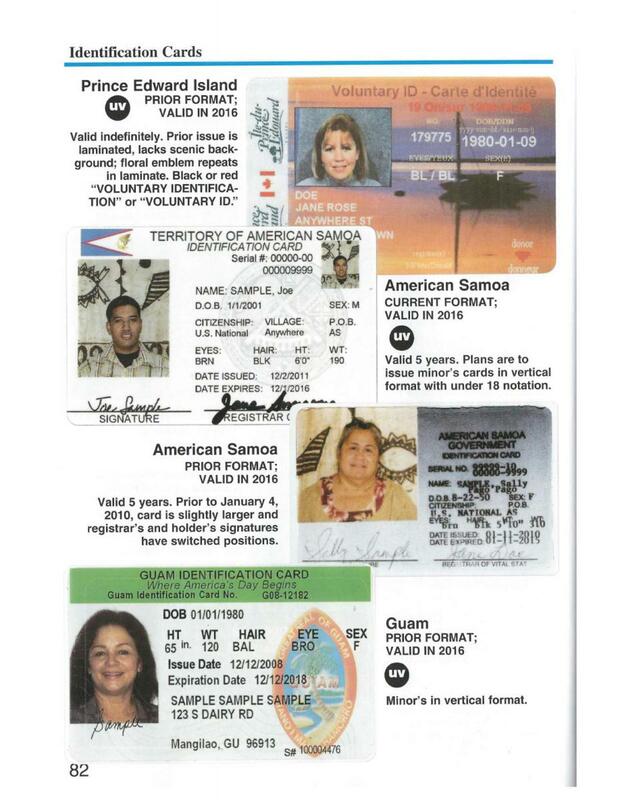 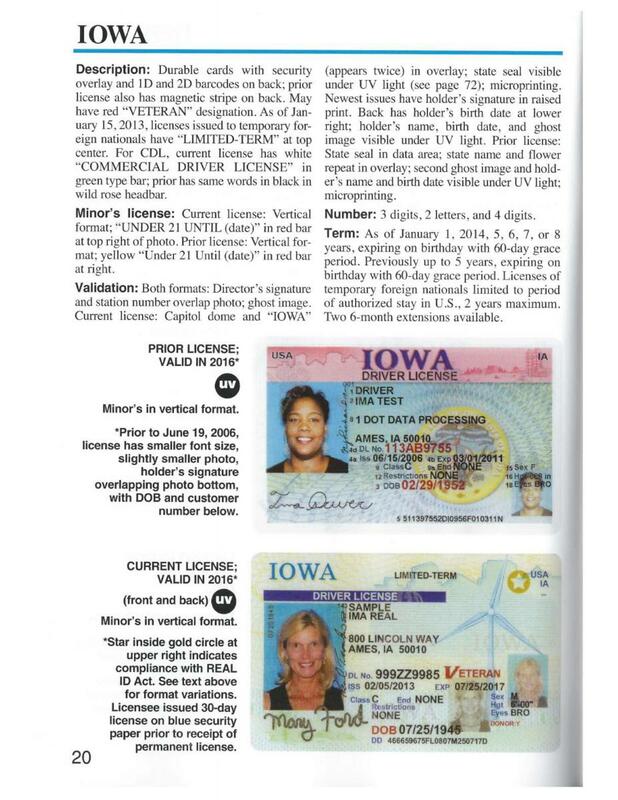 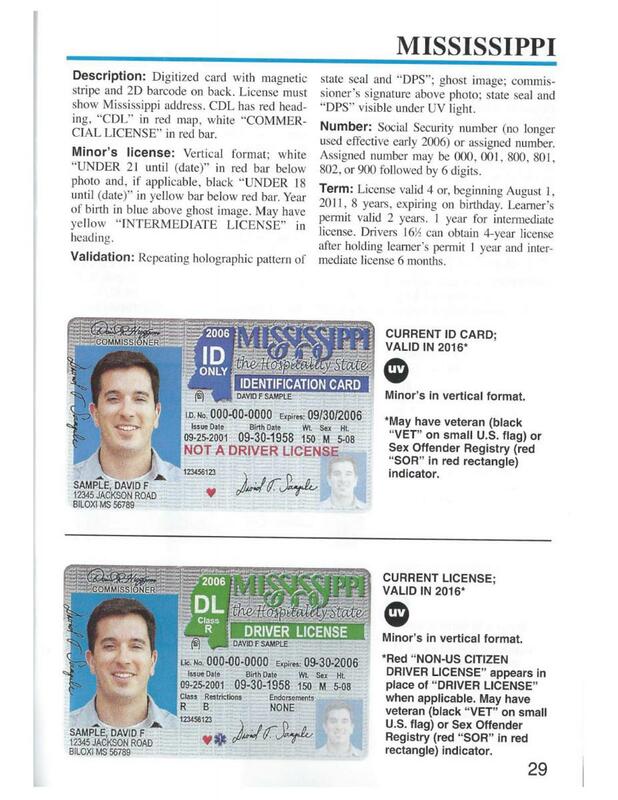 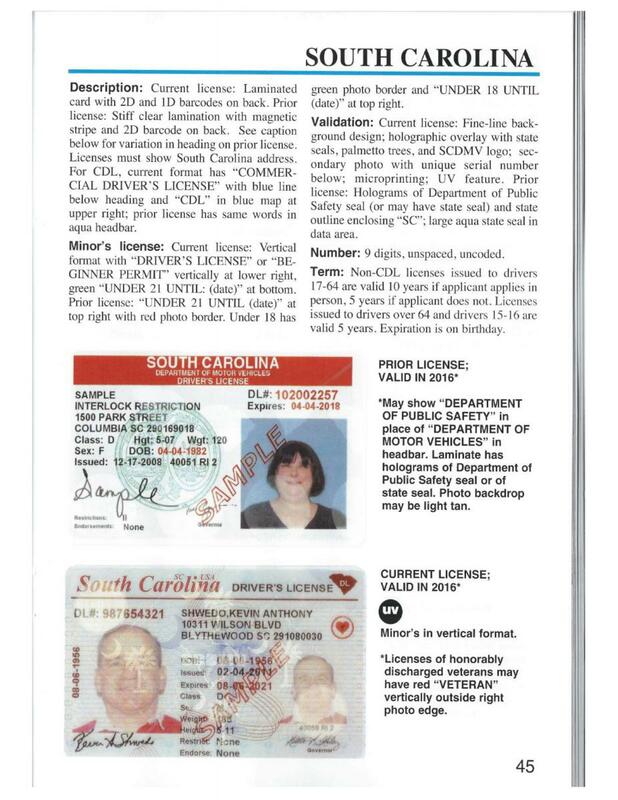 Note: Rare or specialized forms of ID, such as tribal ID cards, restricted use licenses, and school bus licenses, certain details (such as the commissioner’s signature) may change.